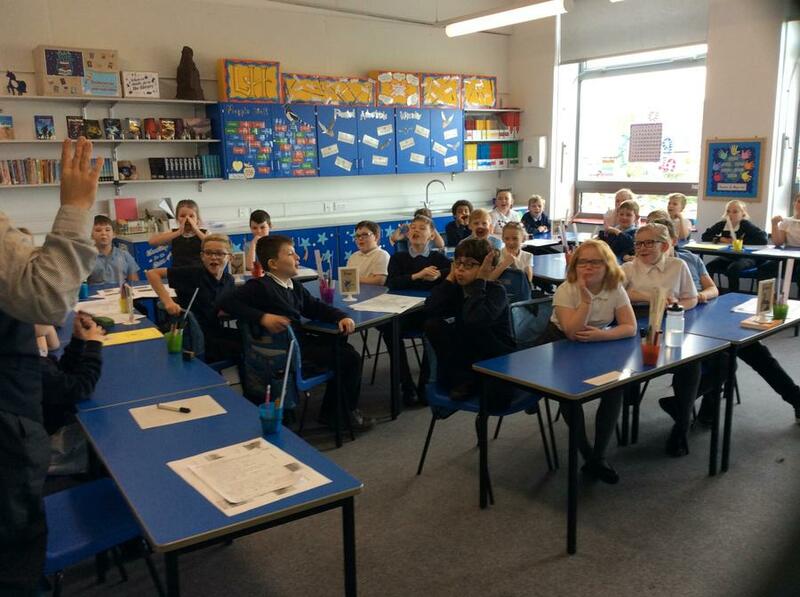 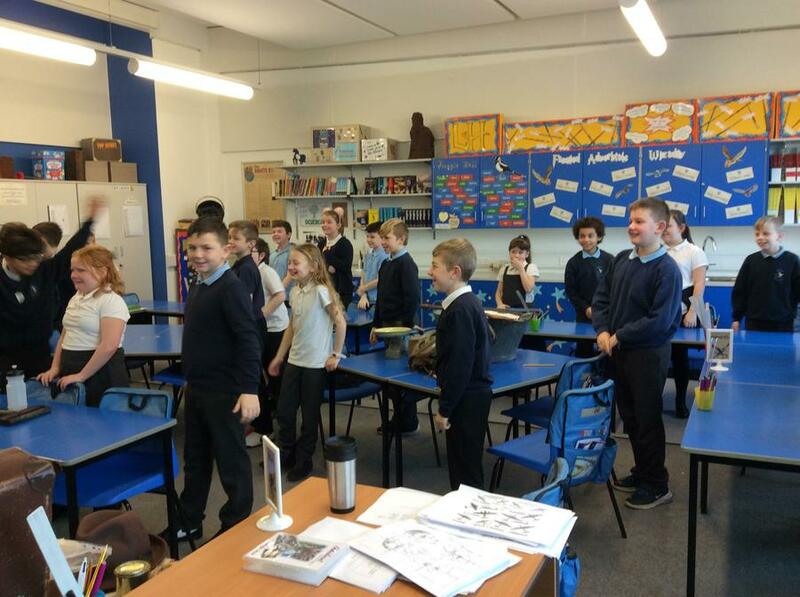 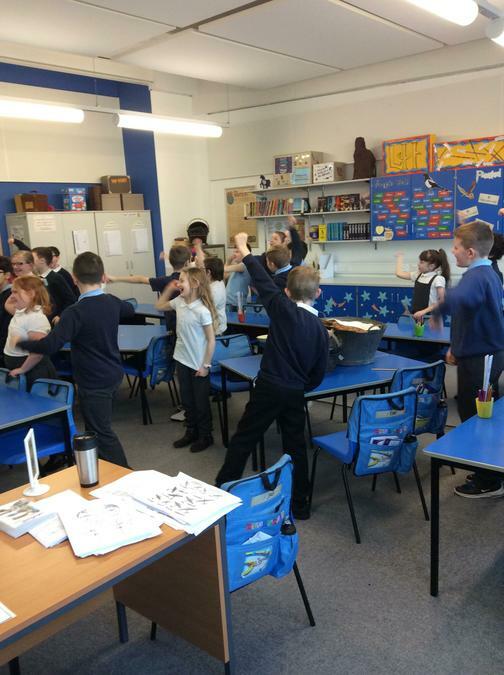 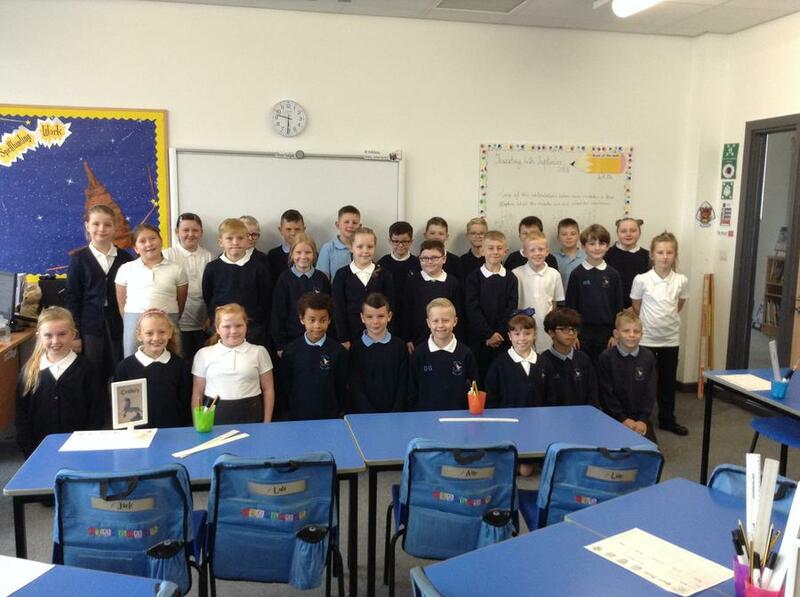 Welcome to the Year 5H class page! 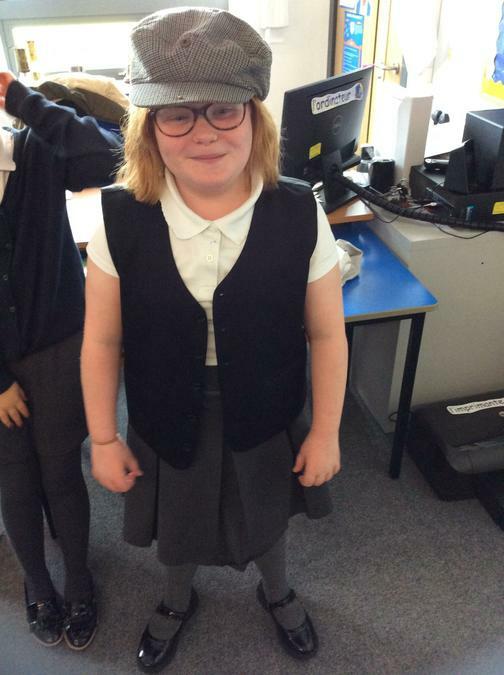 My name is Miss Houghton and I’m excited to be your teacher for this school year. 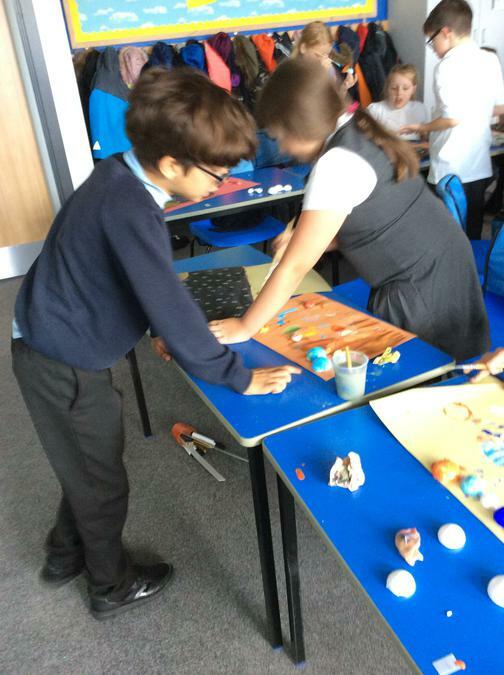 We have some amazing topics to look forward to (which you can find on our curriculum page), and I aim to make our lessons interesting and enjoyable, to ensure we have fun whilst learning lots of new things. 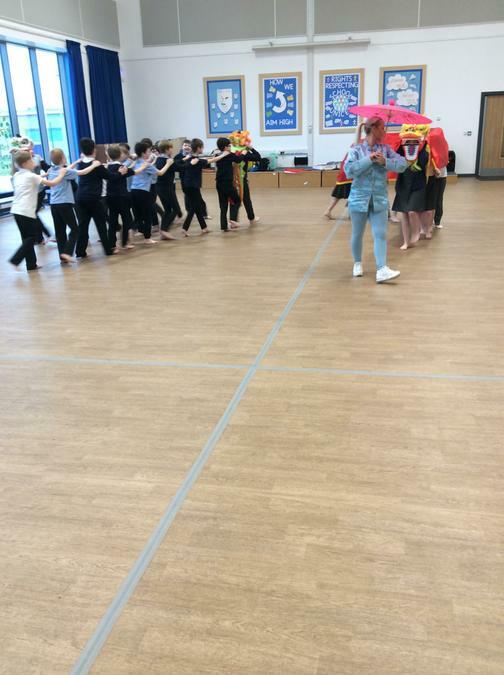 We are supported across year 5 by the wonderful Mrs Martin, who I know is just as excited as I am for the fantastic year we know you’re all going to have. 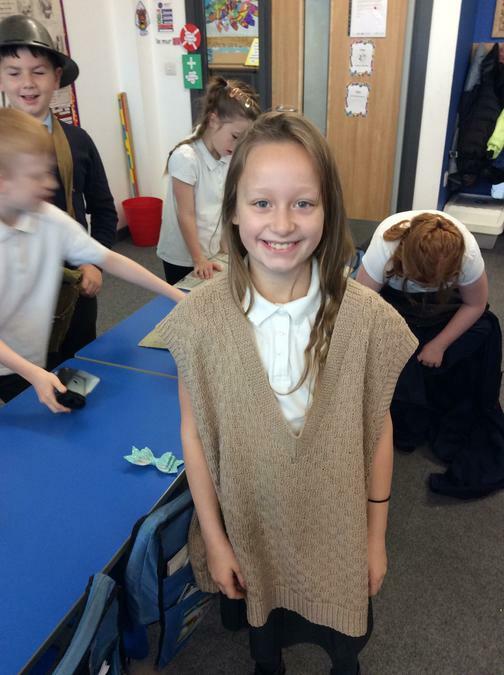 I can't wait to see what this year brings for us all! 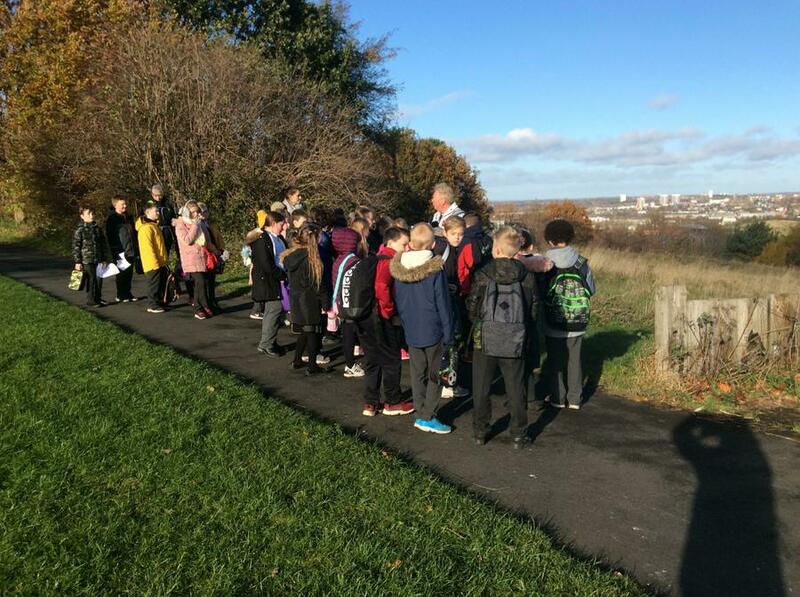 This half term children will be taking part in 6 Forest School Sessions. 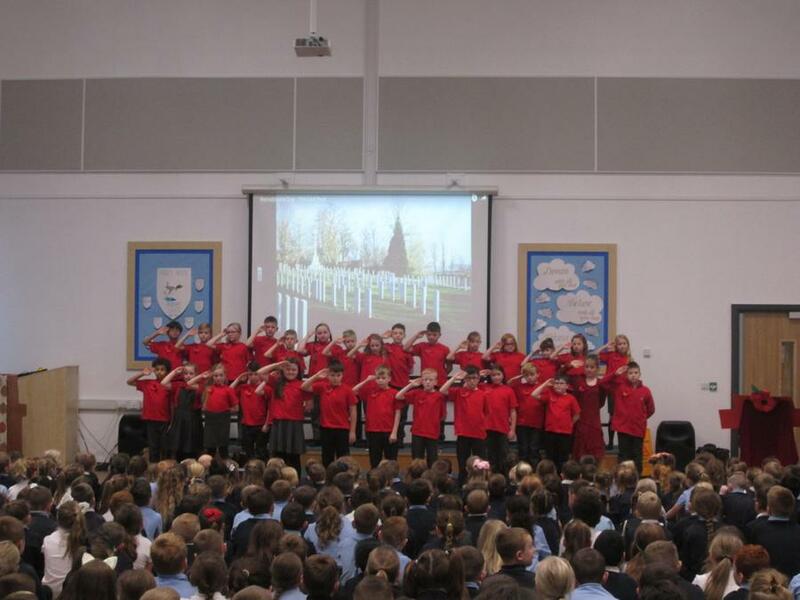 Click on the link below to look at the photographs. 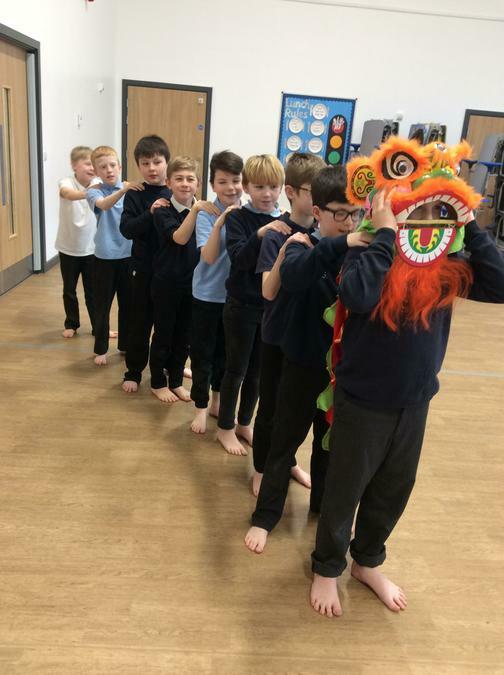 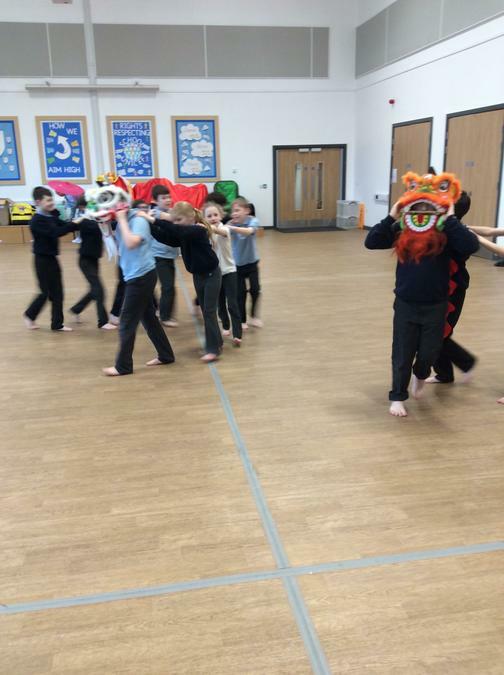 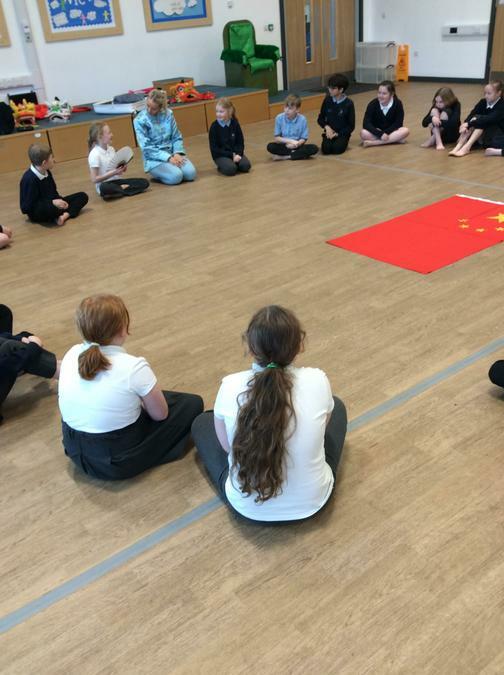 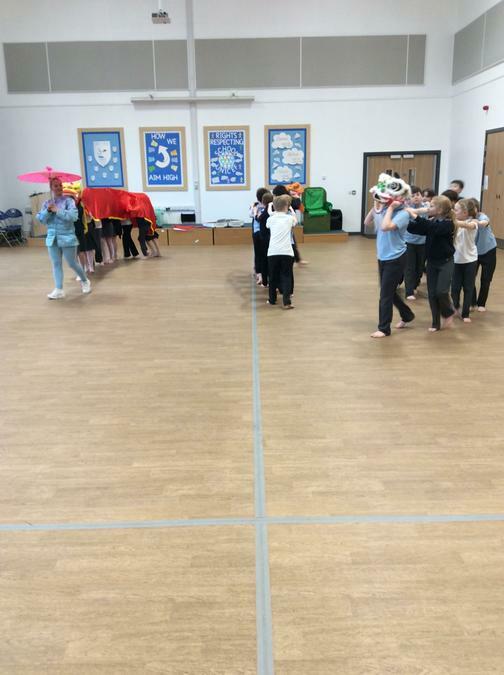 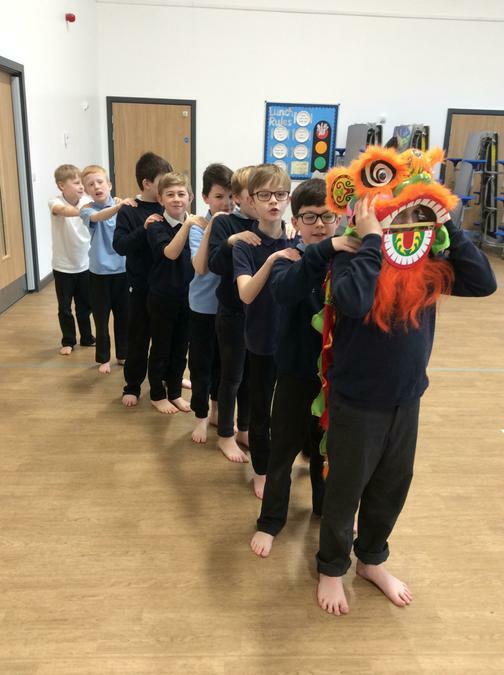 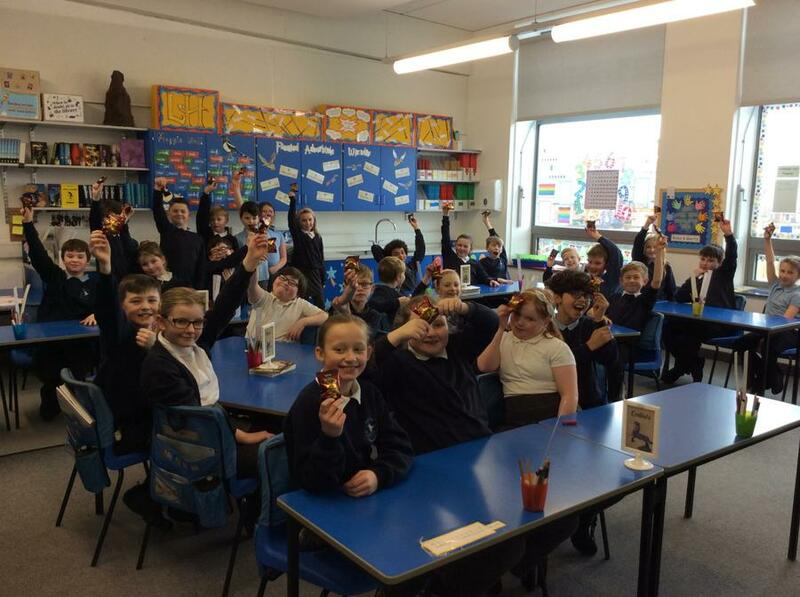 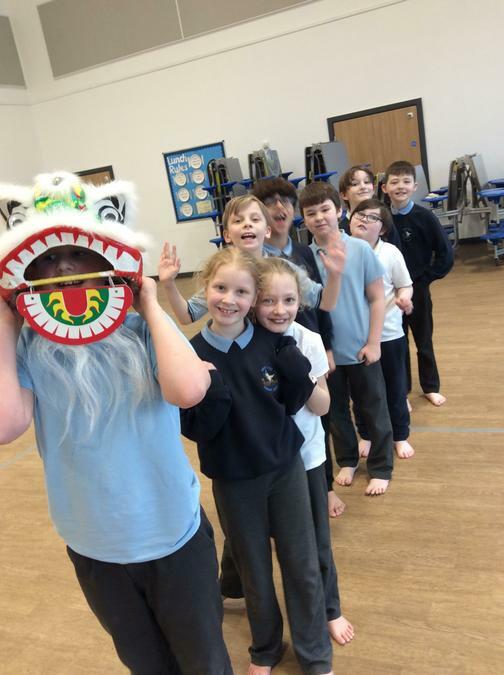 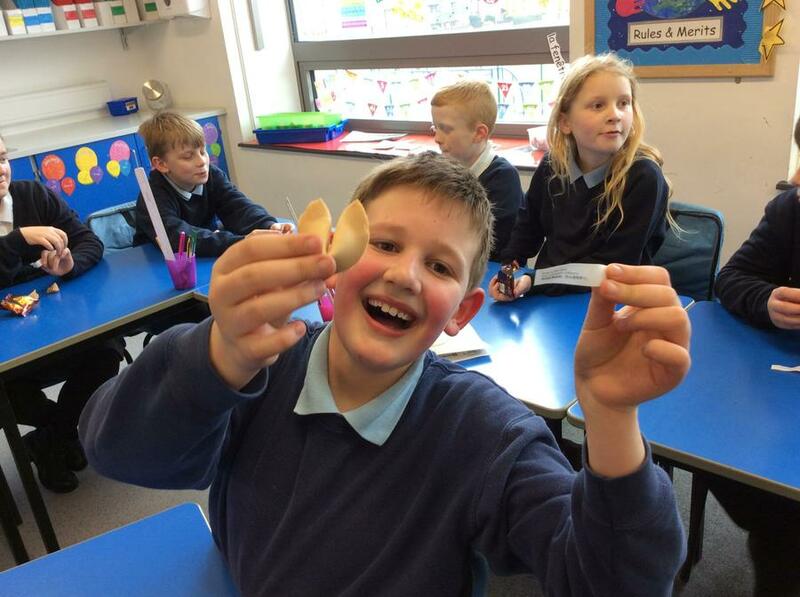 This week we have enjoyed celebrating Chinese New Year with a special school lunch, fortune cookies and an amazing Chinese dance workshop. 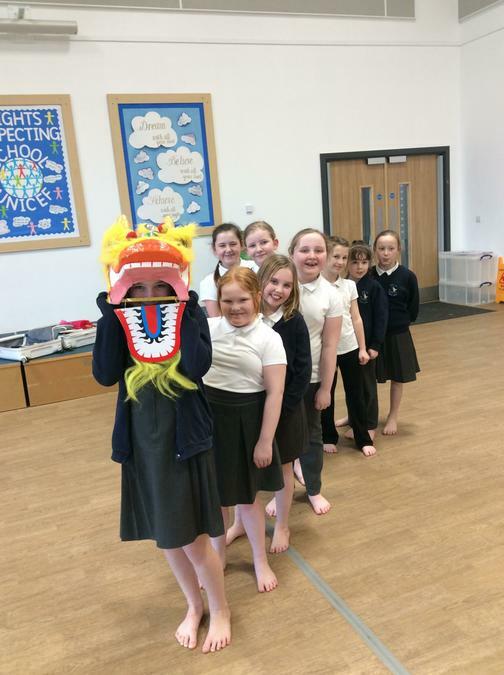 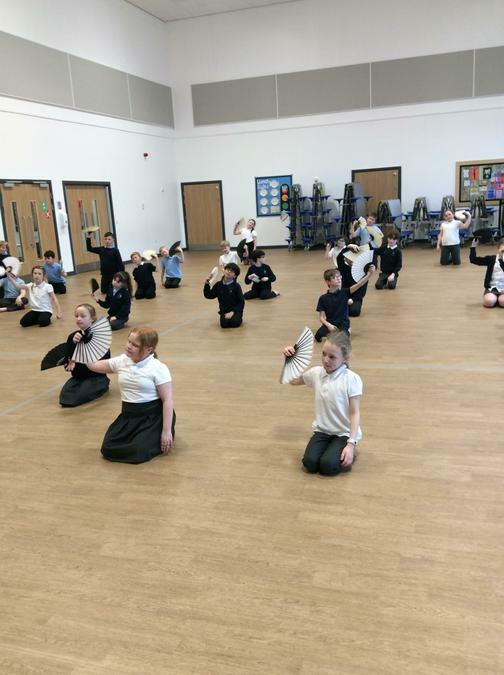 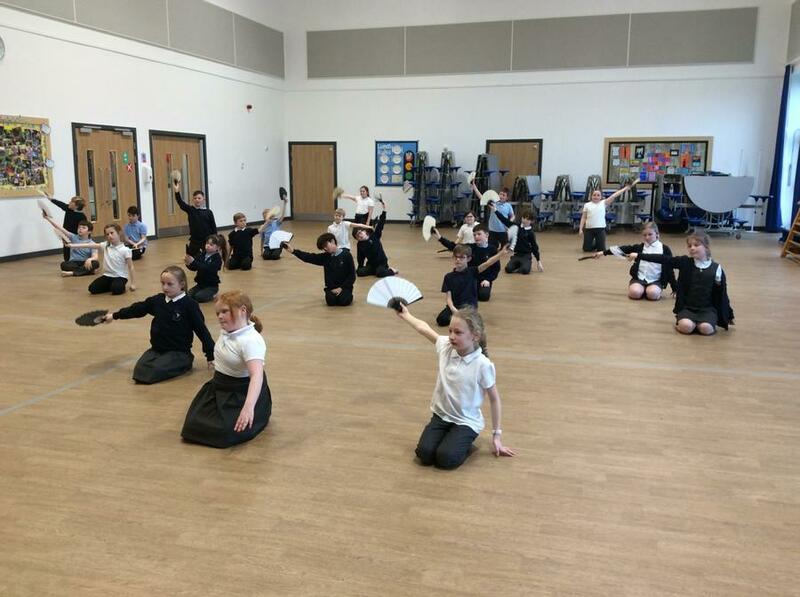 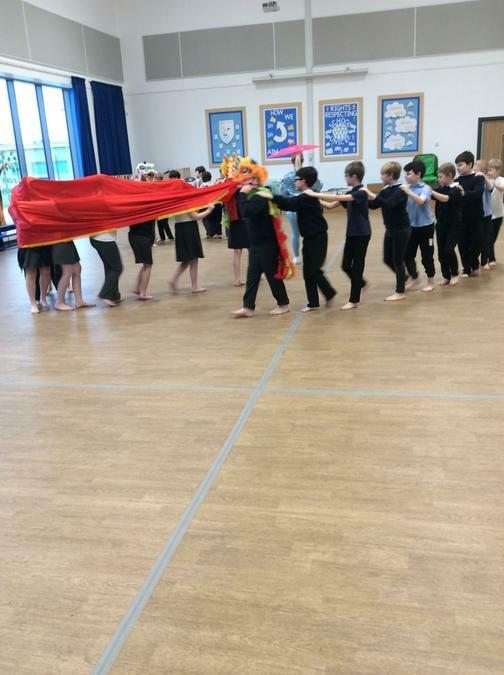 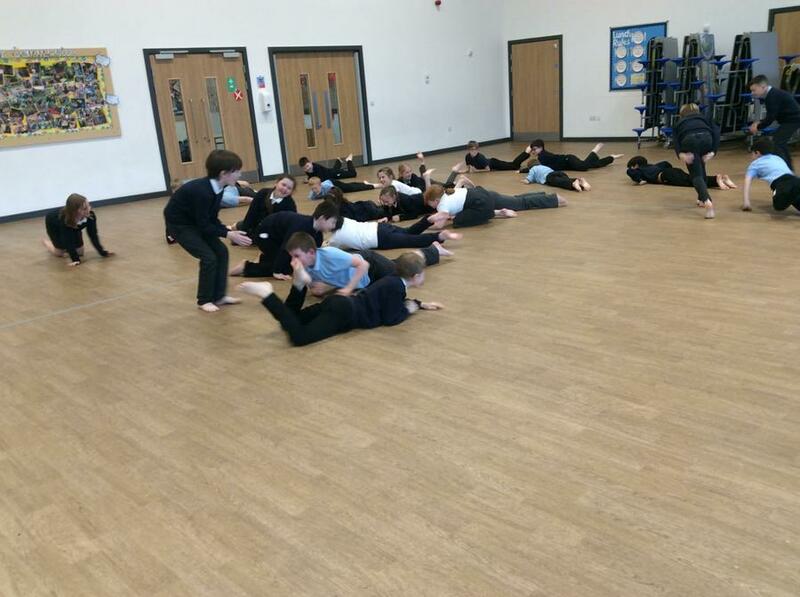 A sneak peak at our dance from the Chinese dance workshop. 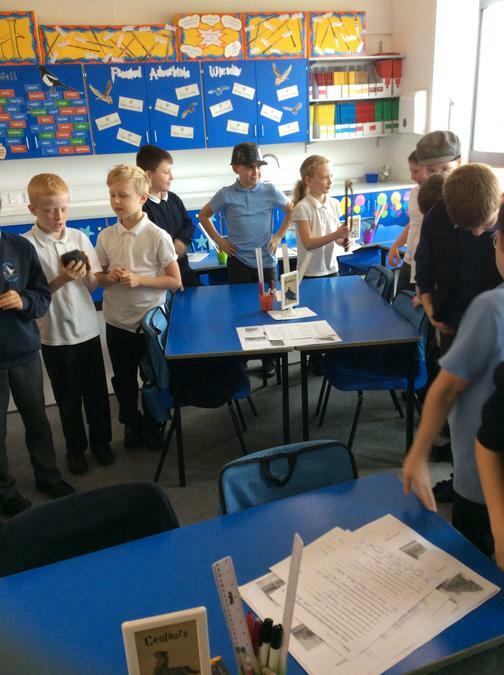 Year 5 are super scientists! 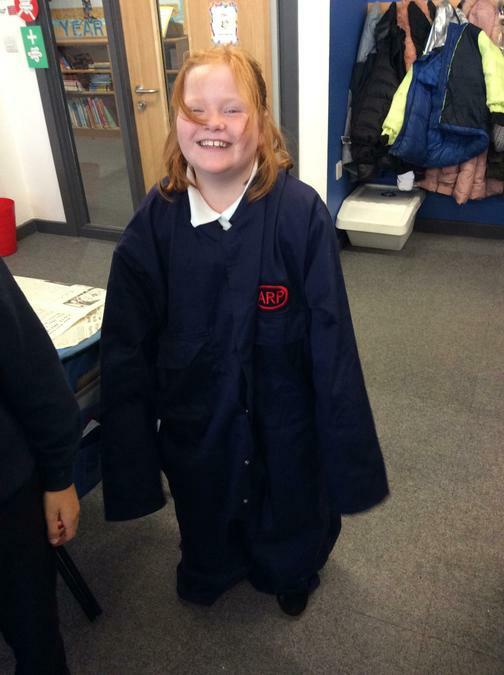 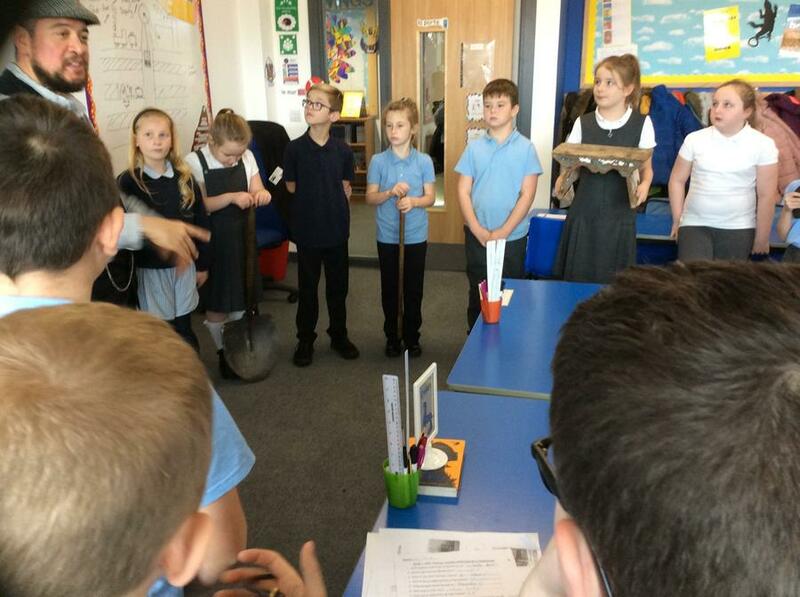 Today we have been investigating air resistance. 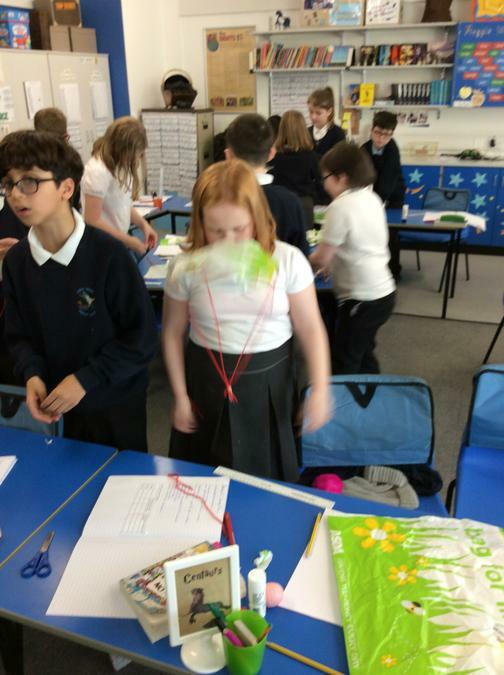 We designed a variety of parachutes, before testing the speed at which they fell, to determine the effect of air resistance. 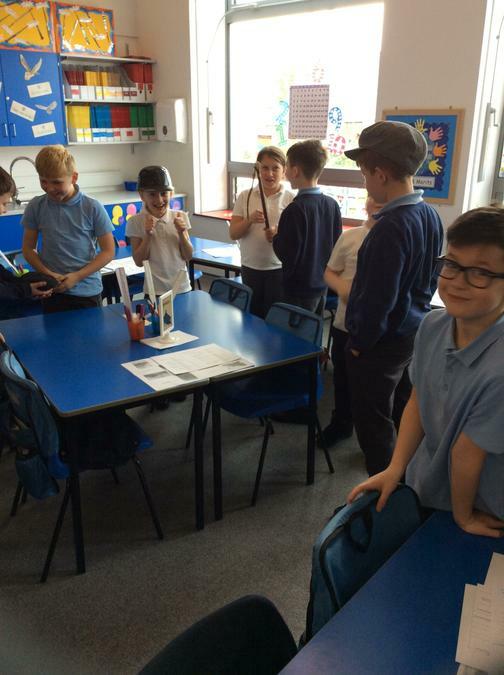 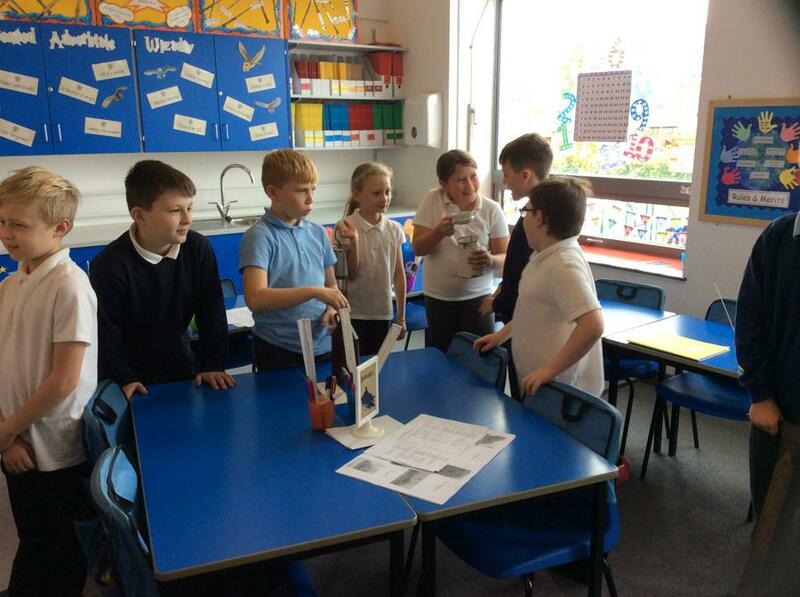 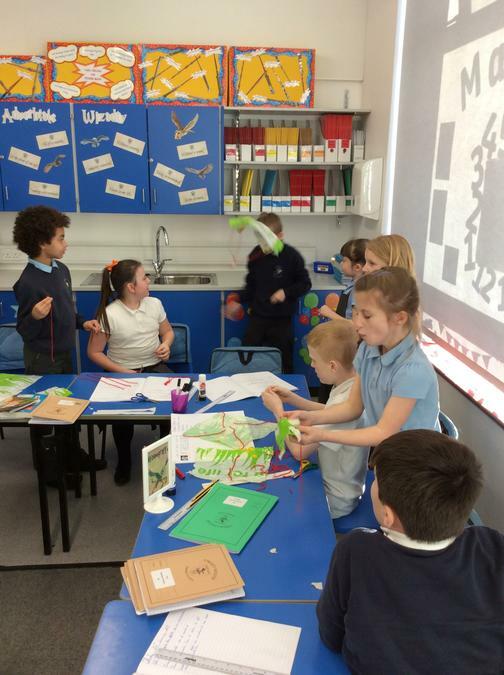 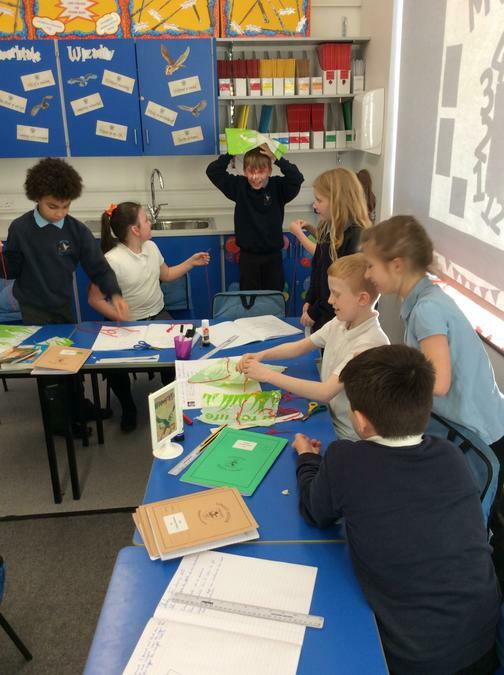 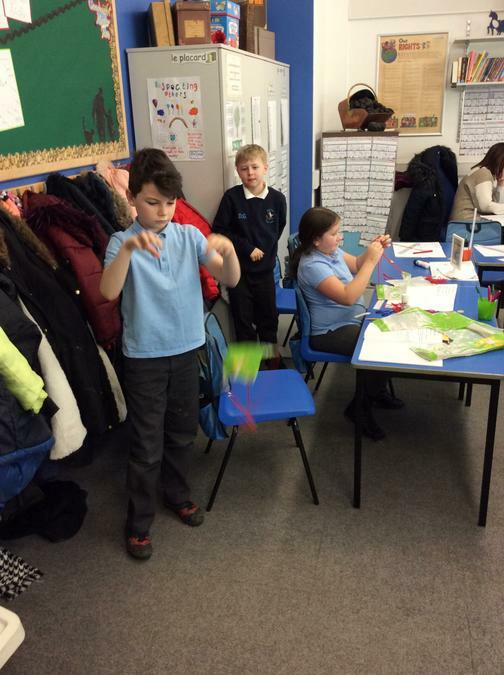 We had some fantastic parachutes and some even better scientific conversations around air resistance. 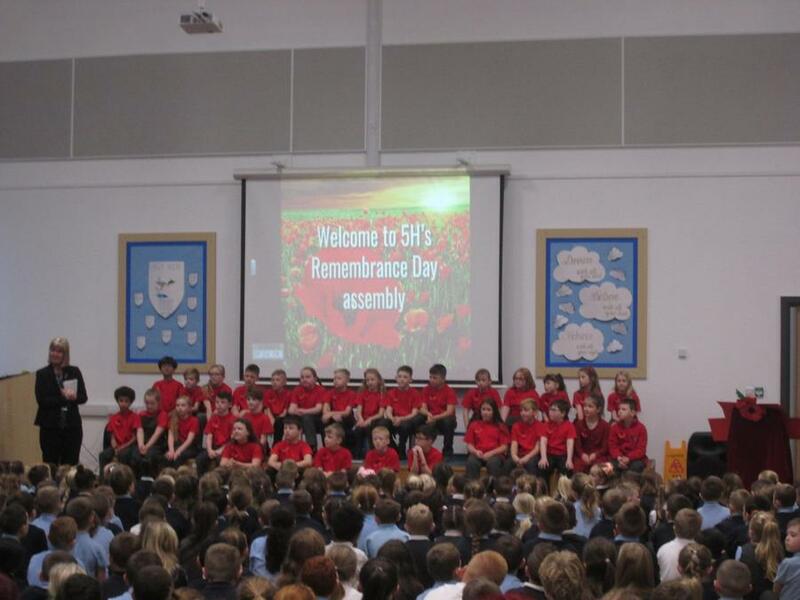 Well done 5H! 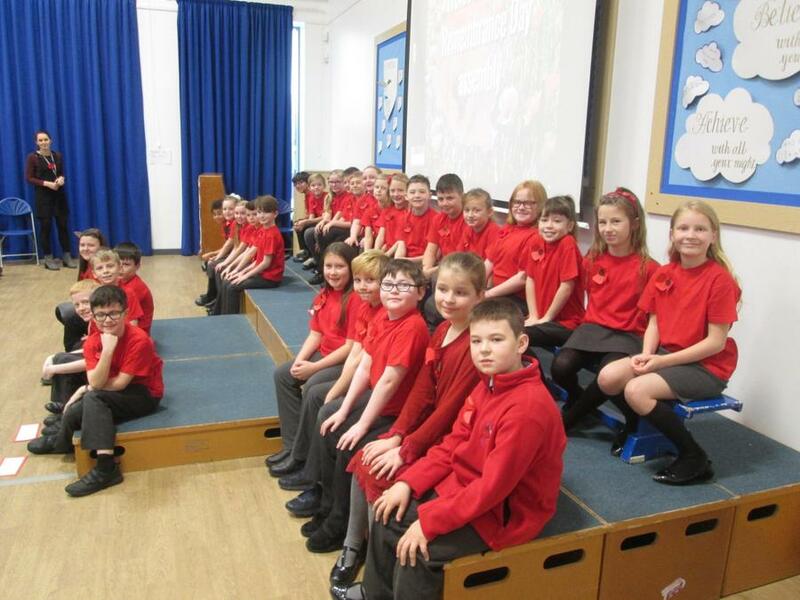 After a fantastic first term, I am looking forward to seeing all we can achieve in 5H during the spring term. 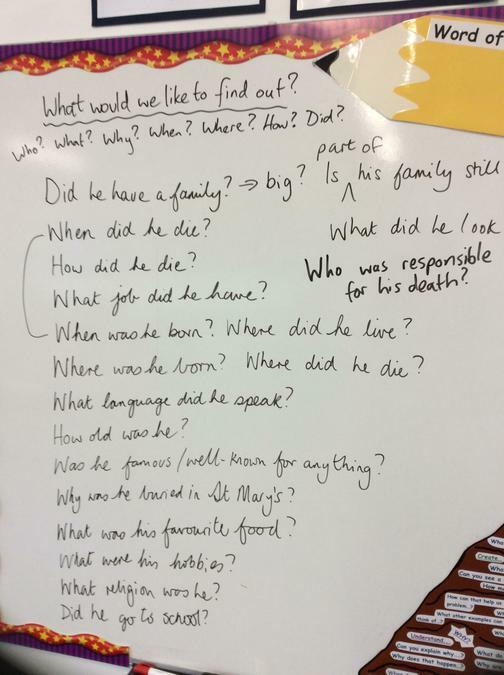 We have some fantastic topics and texts to share with you, and we hope you're going to have a happy and successful term. 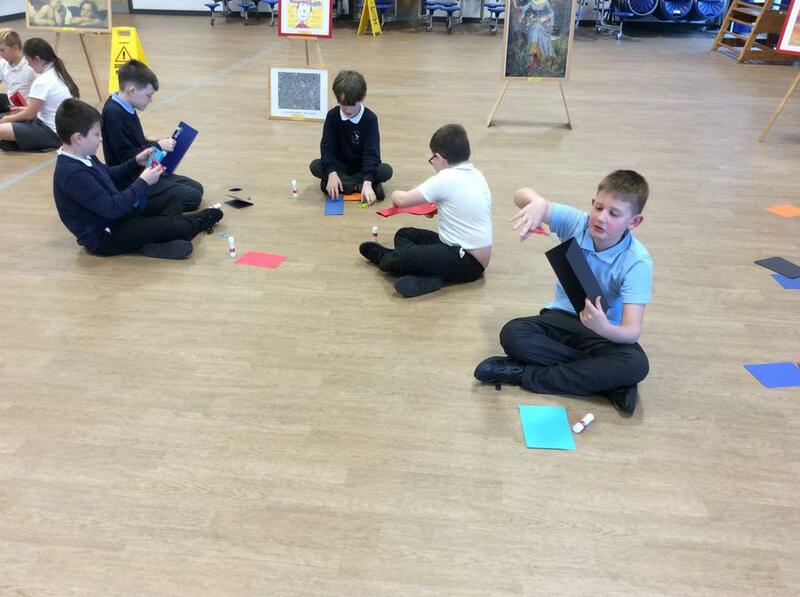 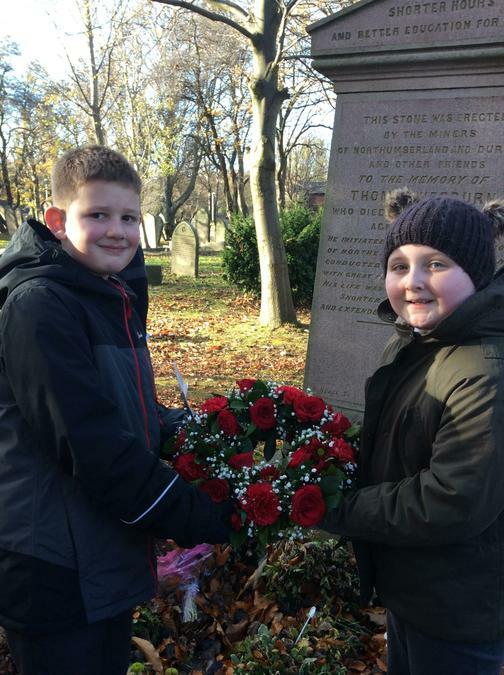 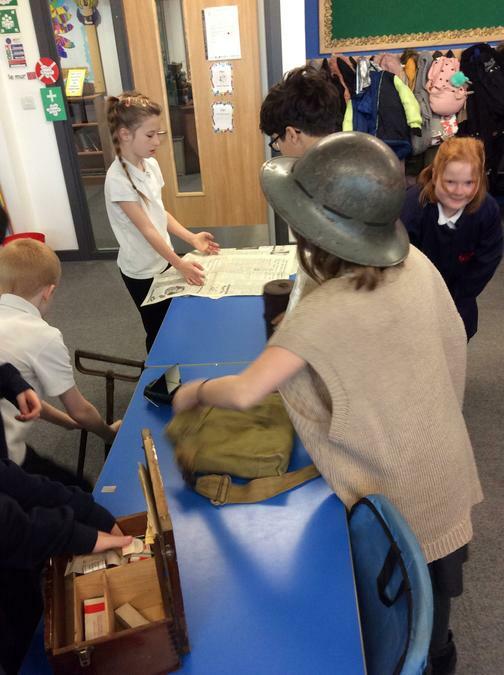 This half term, our creative curriculum topic, titled "War and Peace", focuses on WW1 and WW2. 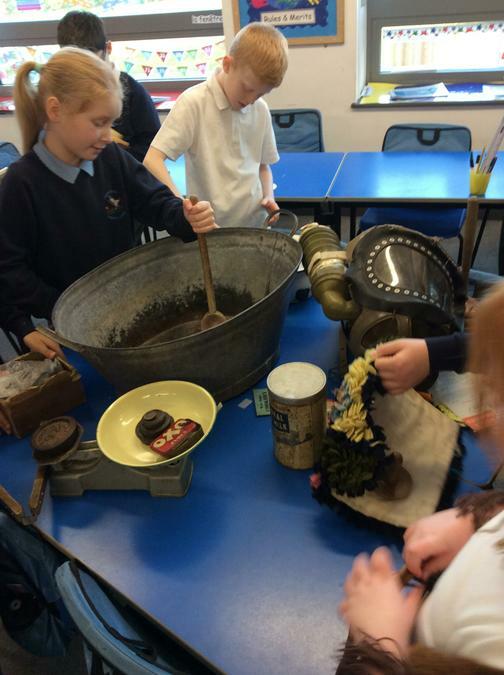 This is closely linked to our novel for English, which is Goodnight Mister Tom, by Michelle Magorian. 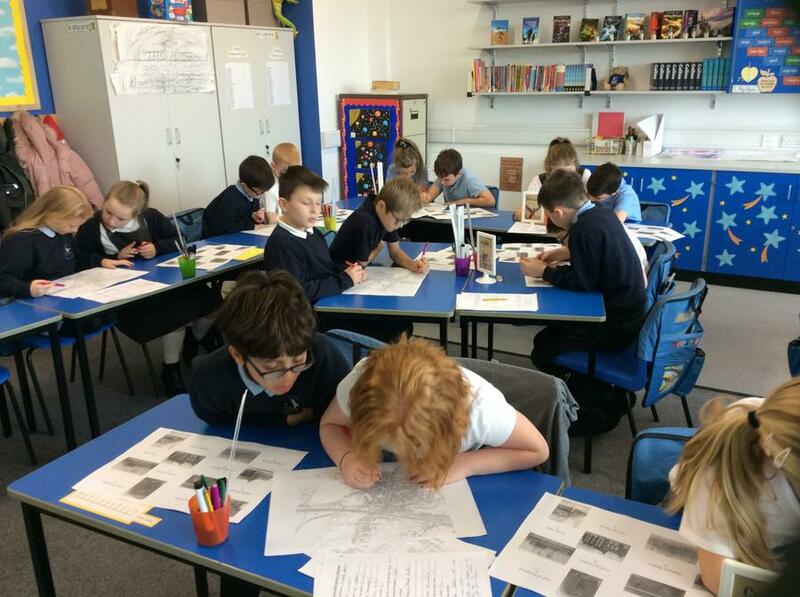 I have been so pleased to see the class enjoying the text and the topic so much already. 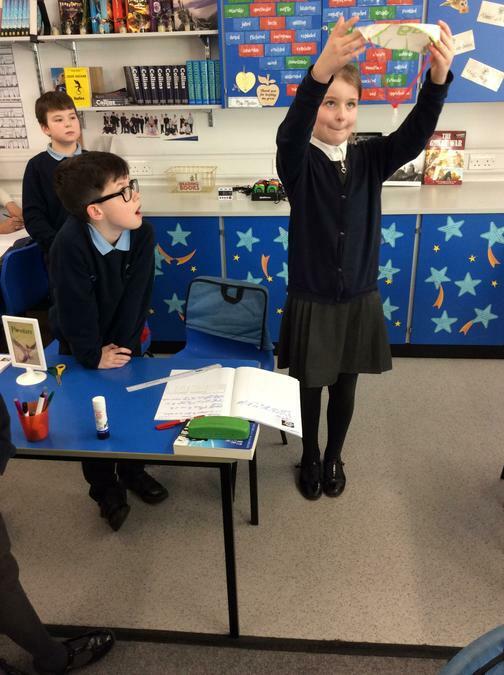 We will beginning this half term in maths by looking at the written method for multiplication, before moving on to a unit of work on fractions. 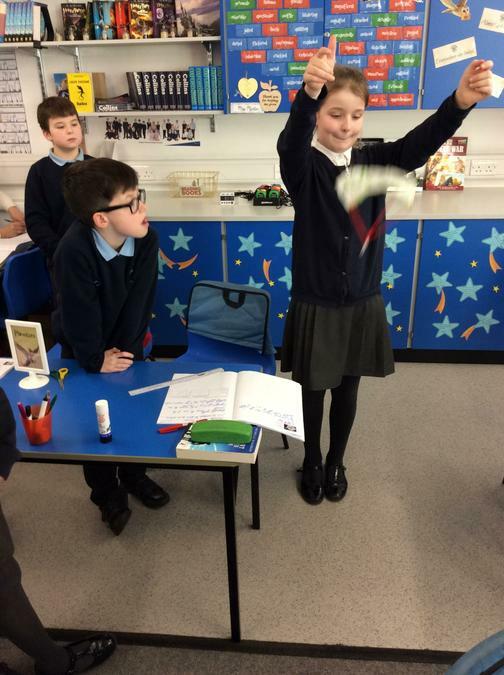 In science, we will be focusing on forces, in which we will be conducting experiments to investigate friction, air resistance and water resistance. 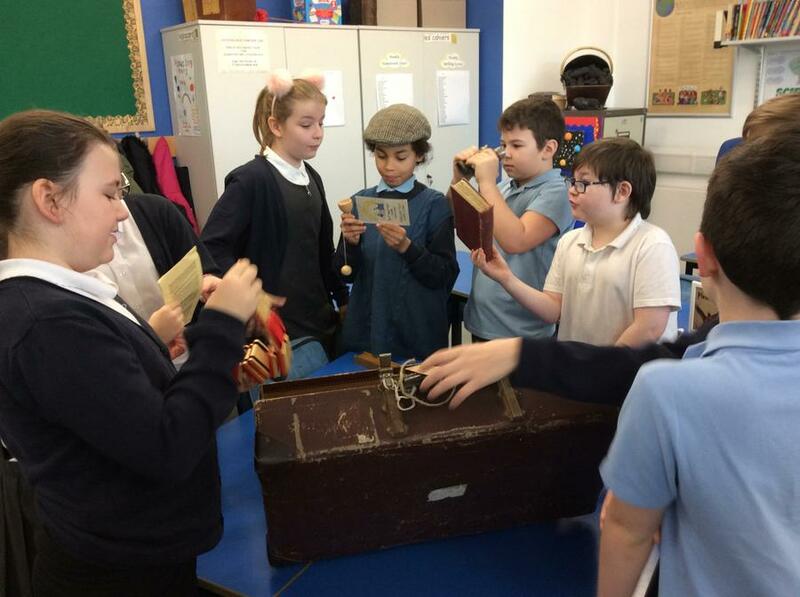 We have launched a voluntary 20 or 40 book reading challenge, to motivate and inspire us all to read more books for pleasure, and to find new books to explore. 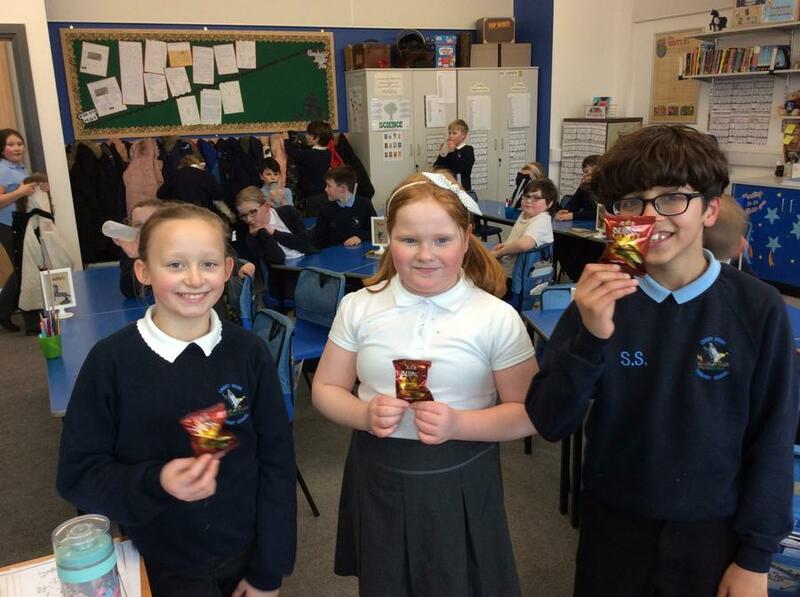 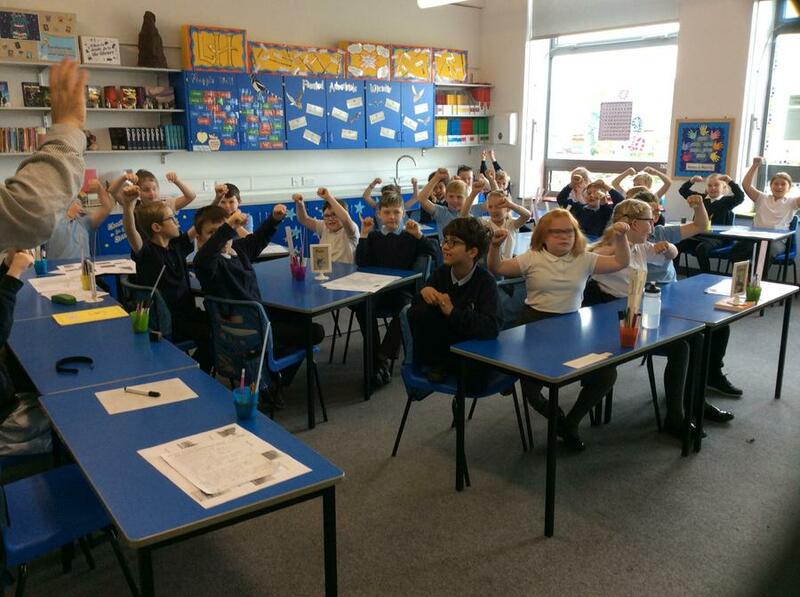 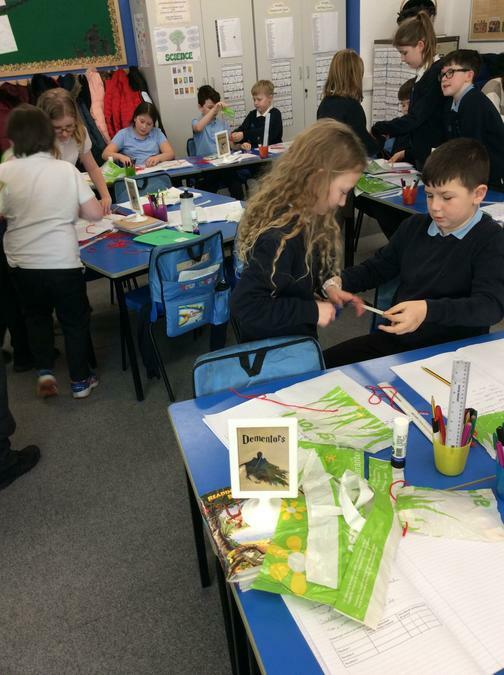 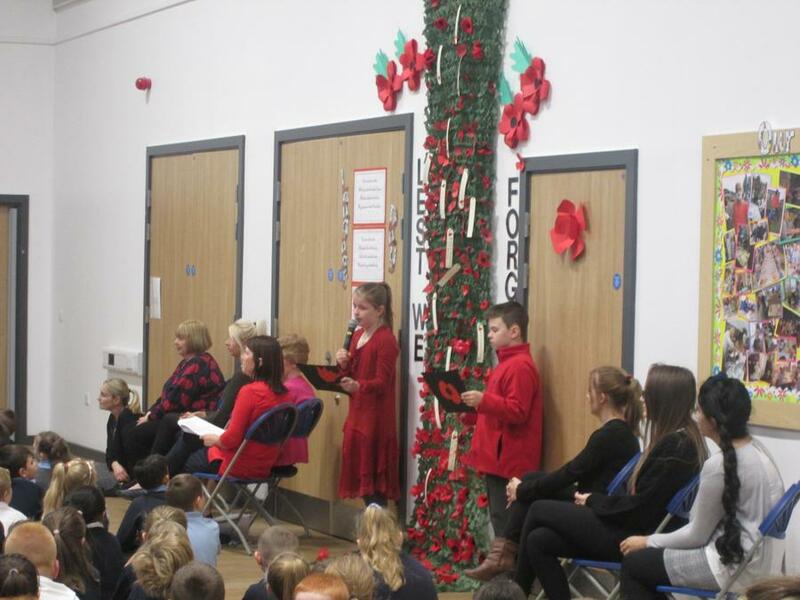 I am thrilled to see so many of the children getting involved and challenging themselves to read more. 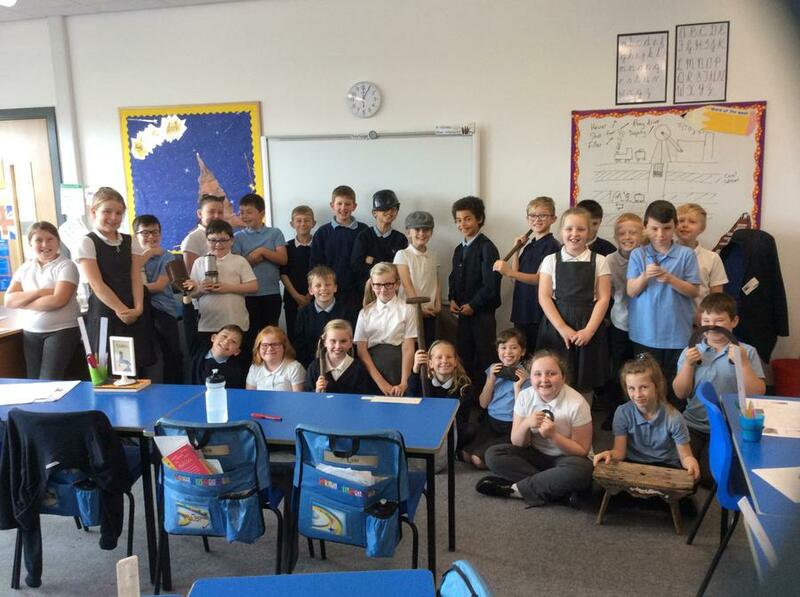 I'm looking forward to joining them in the challenge and hopefully seeing lots of book recommendations and book talk in class. 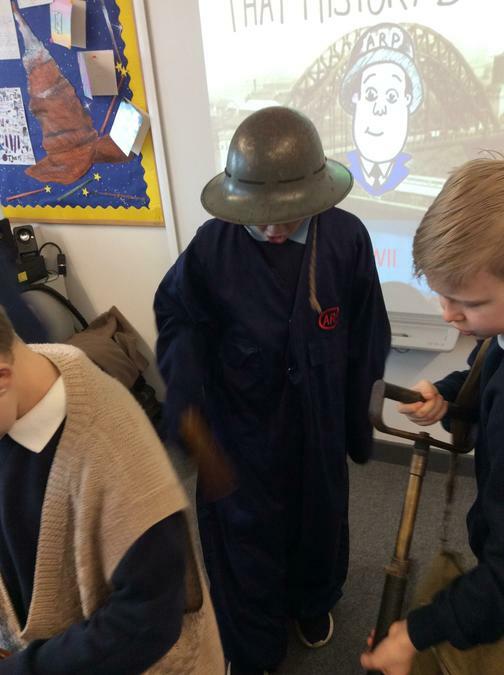 Our creative curriculum topic this half term, titled “War and Peace”, will be focusing on WW1 and WW2. 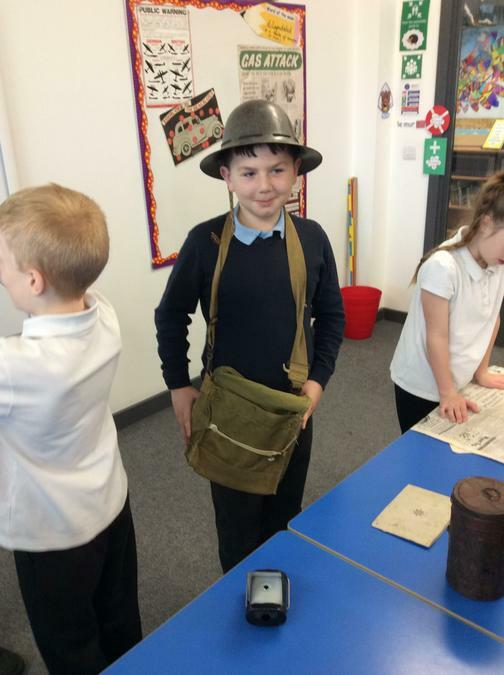 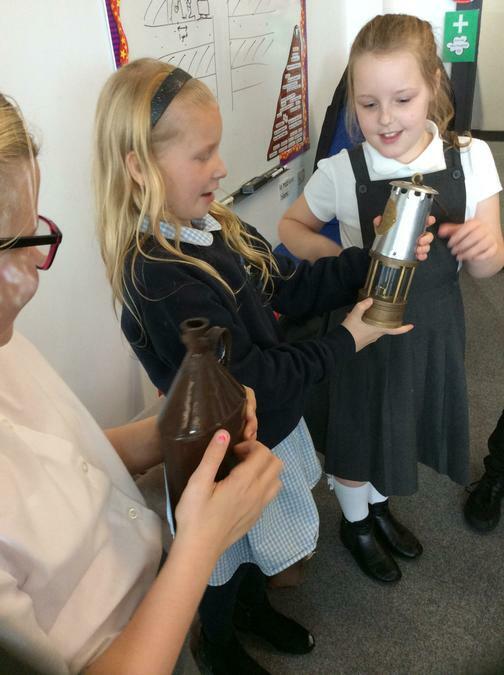 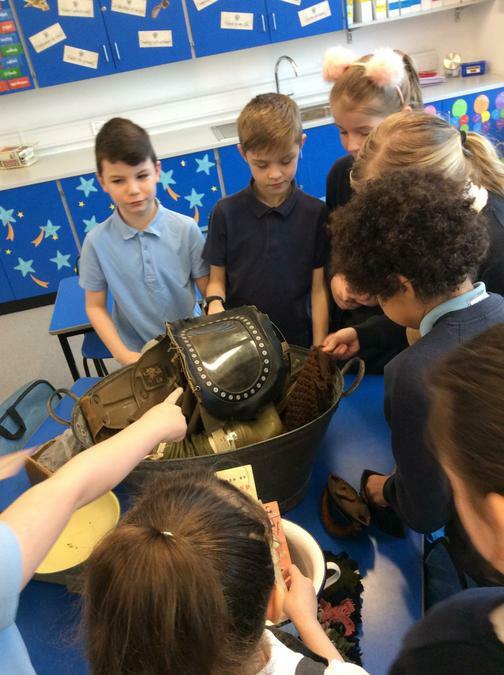 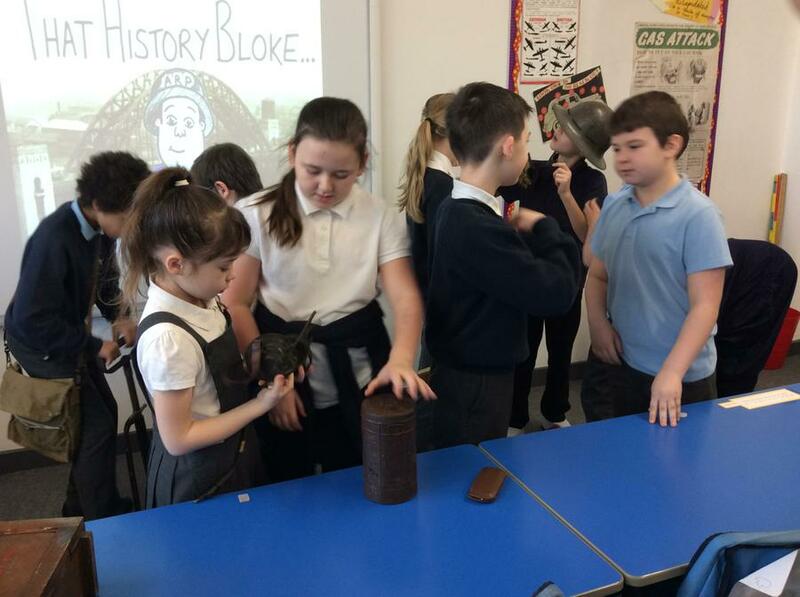 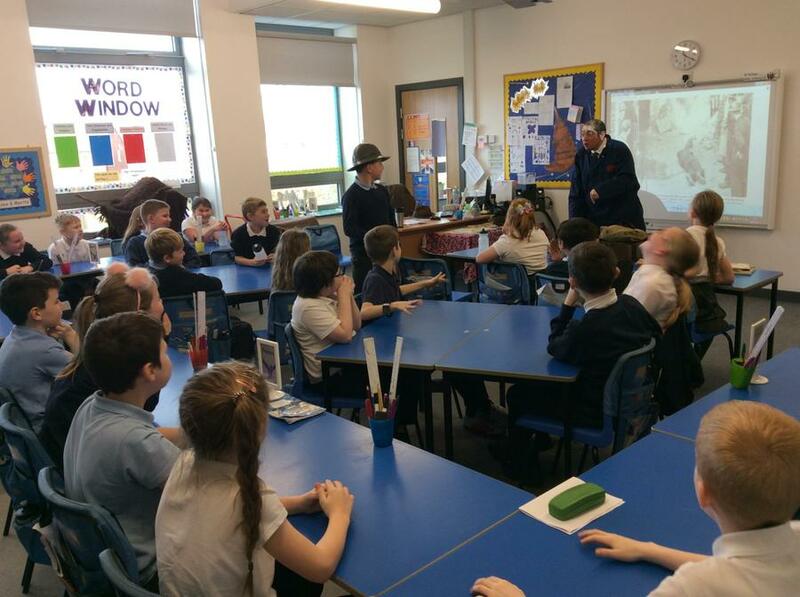 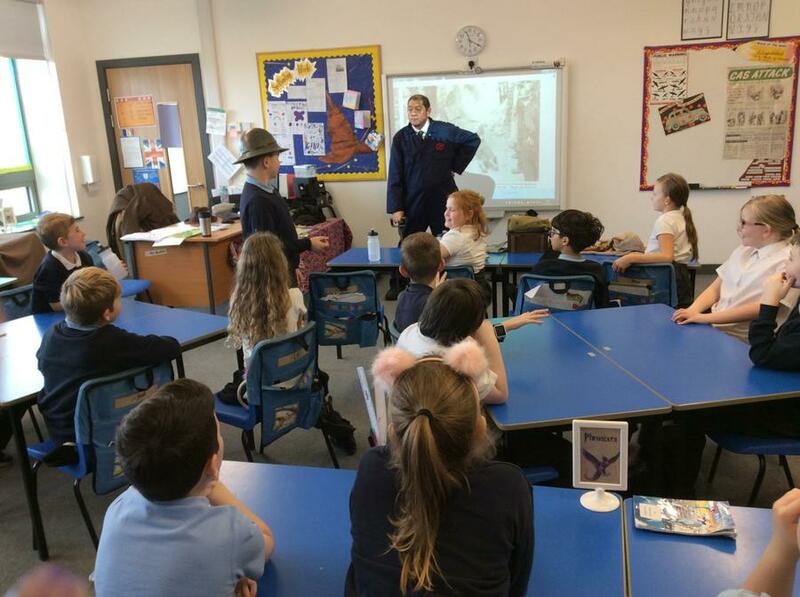 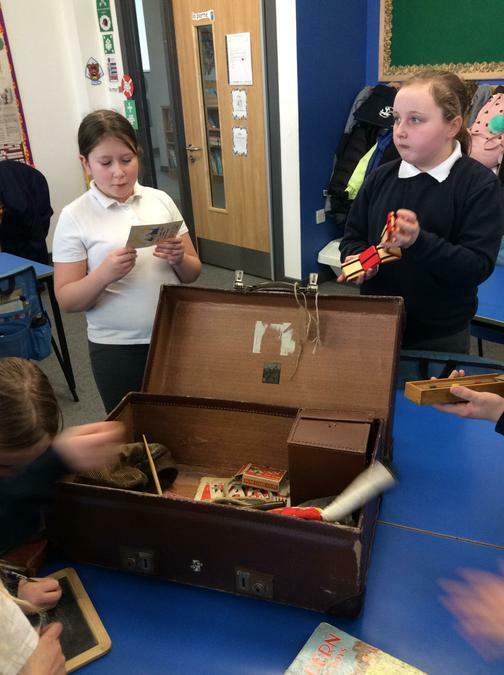 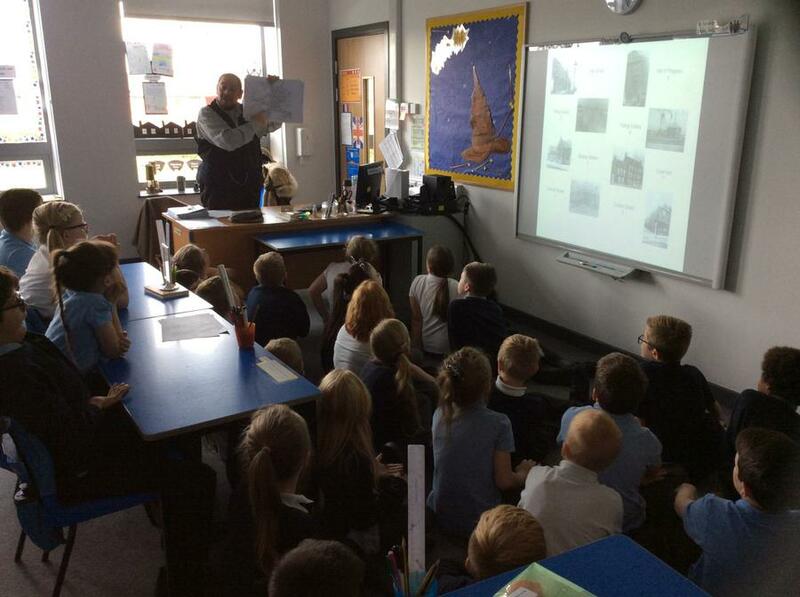 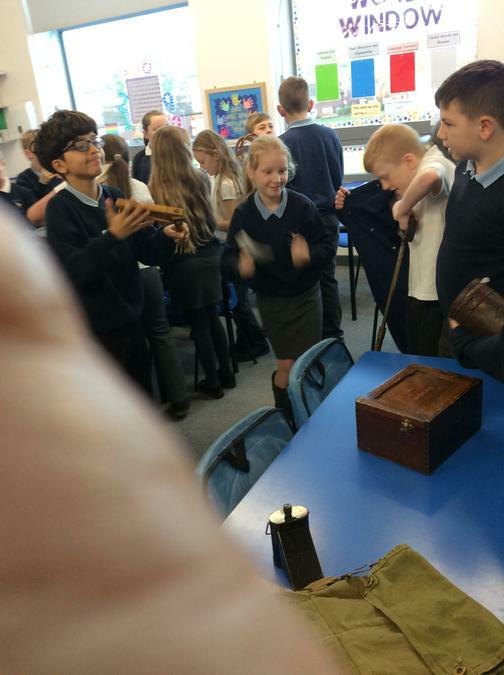 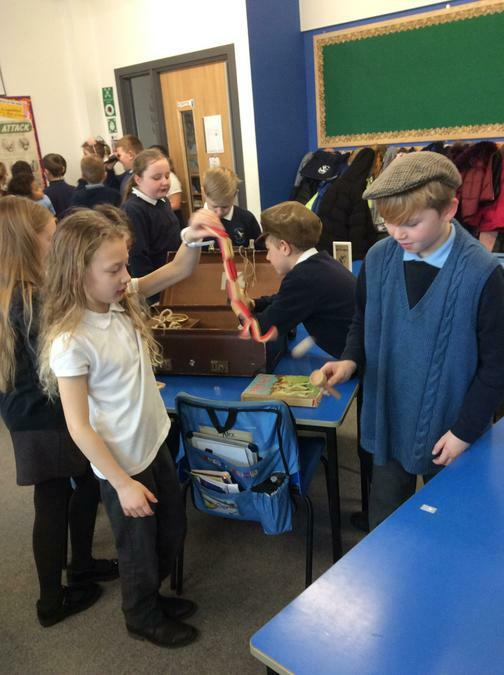 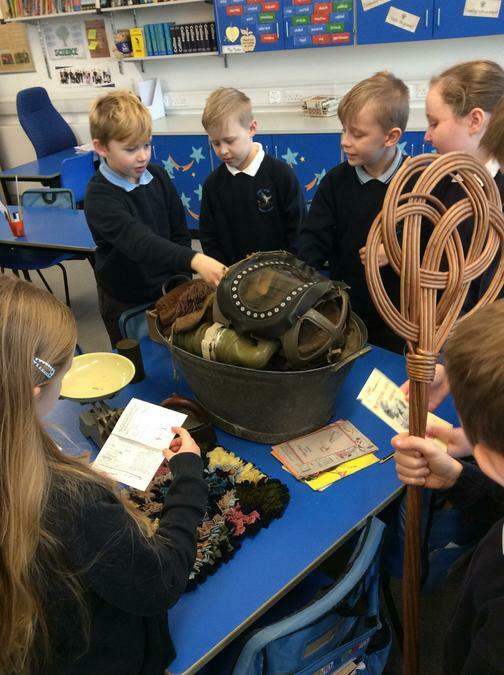 We have already been lucky enough to have another visit from Richard (That History Bloke), who explained what life would be like in our local area during the war, and showed us some amazing artefacts from WW2. 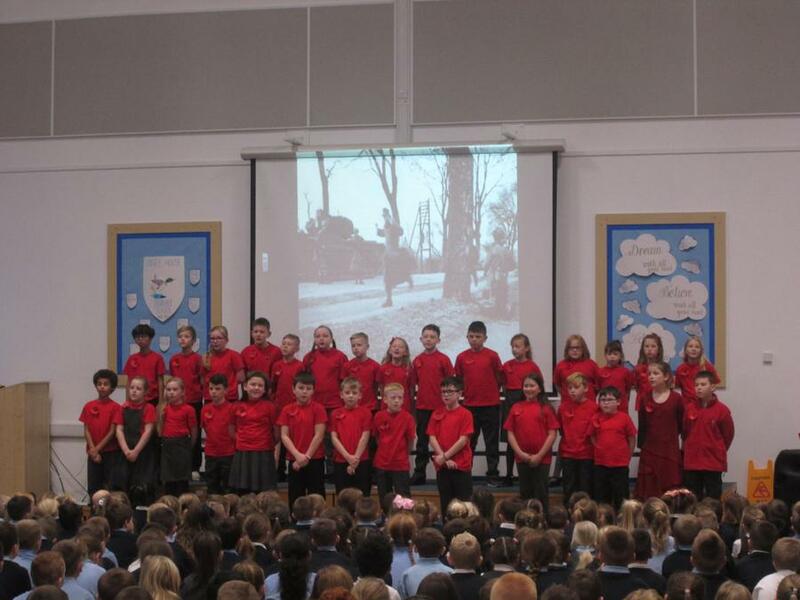 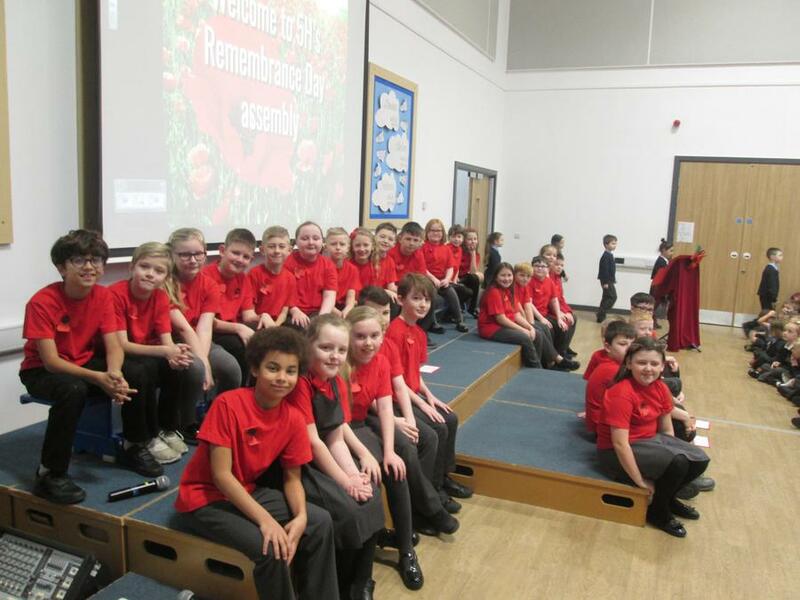 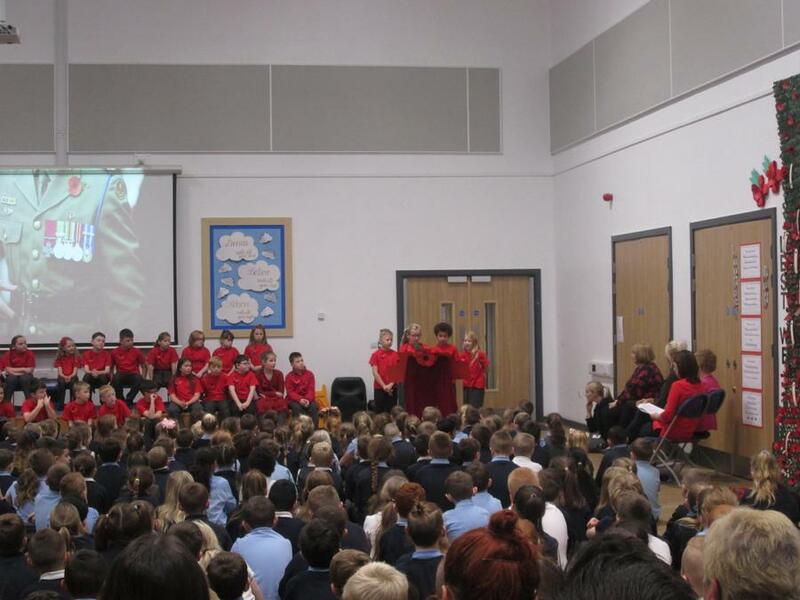 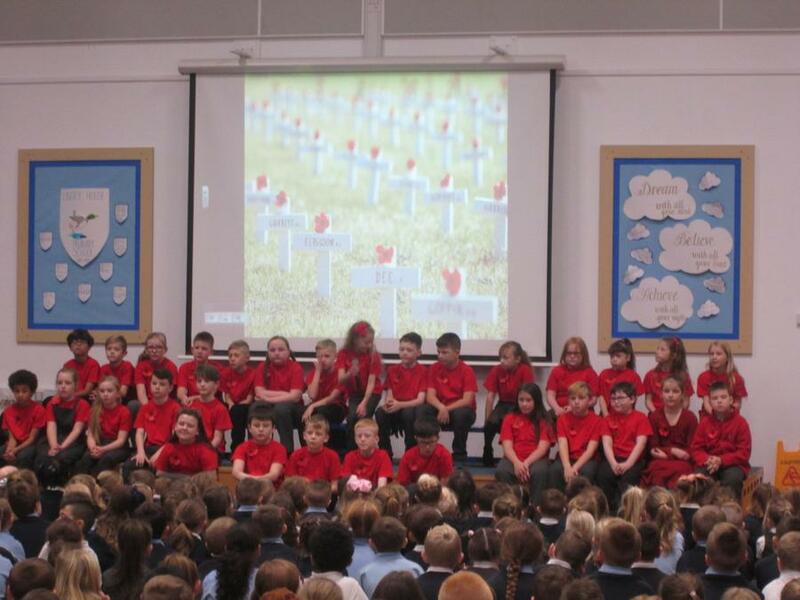 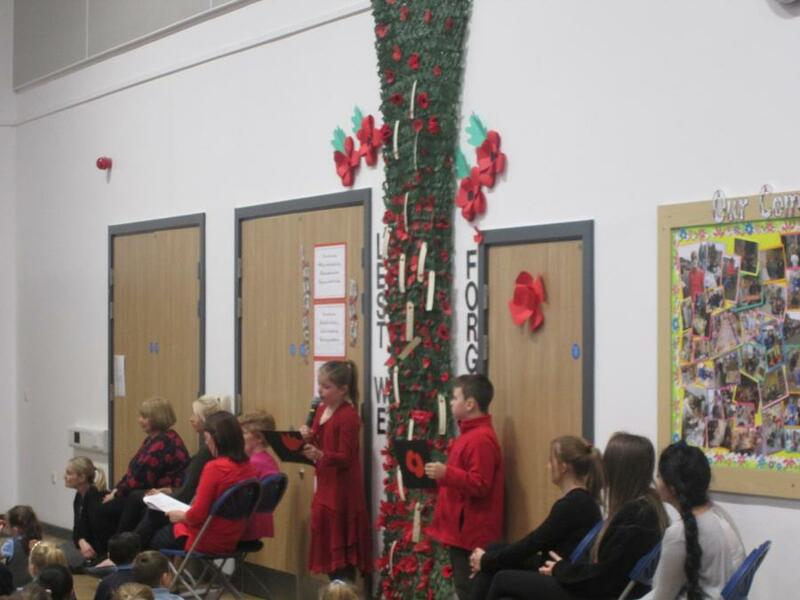 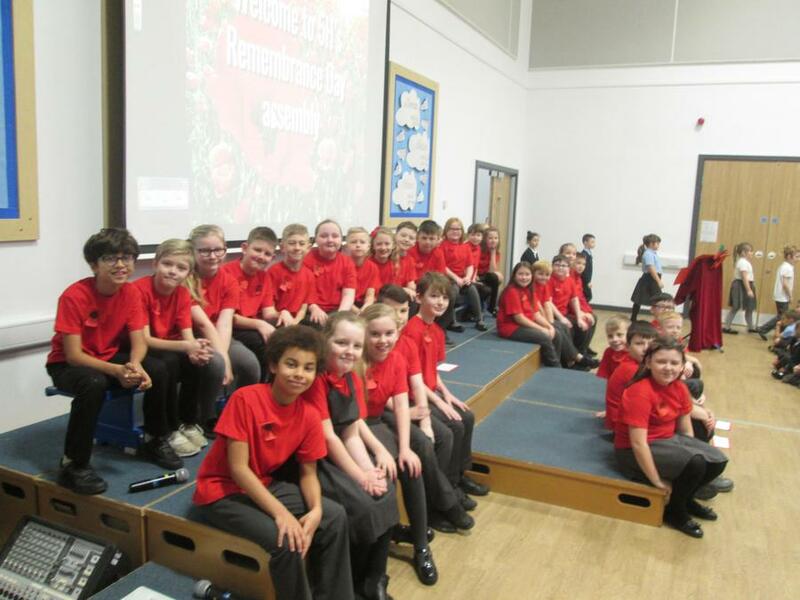 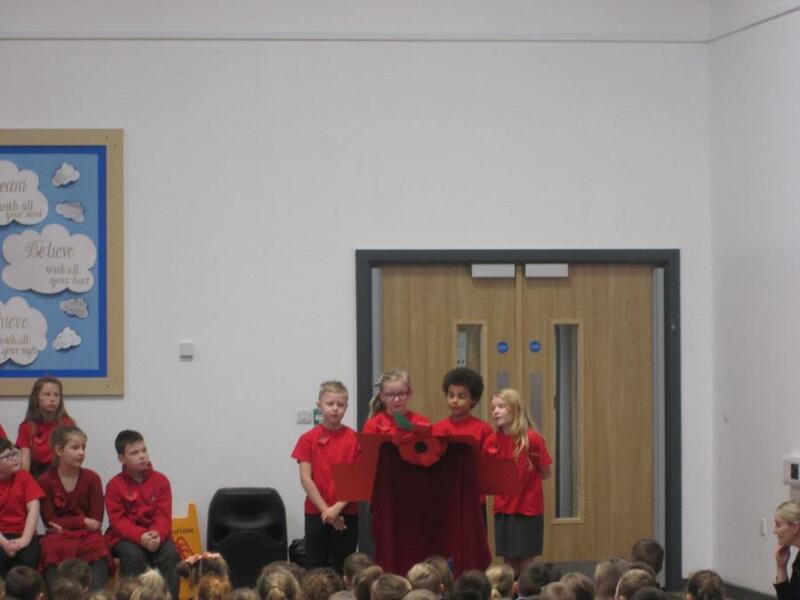 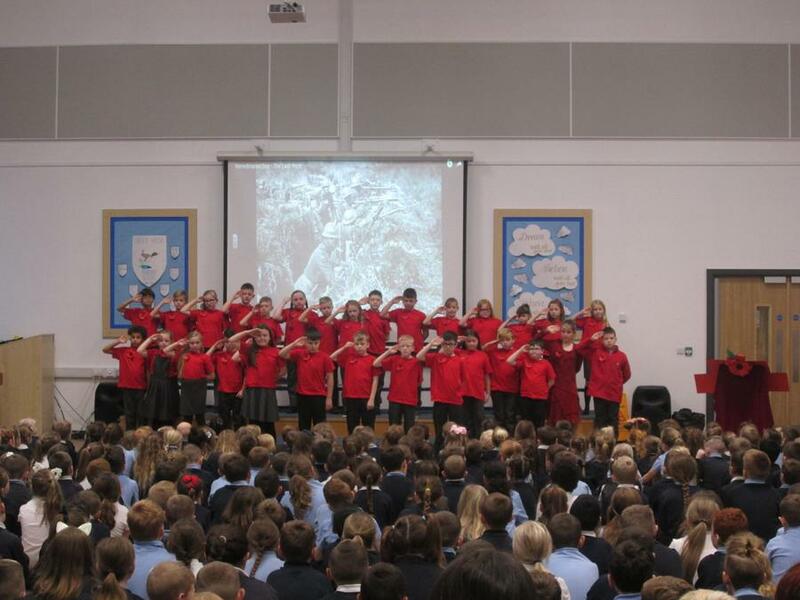 Our Remembrance Day assembly was a real hit! 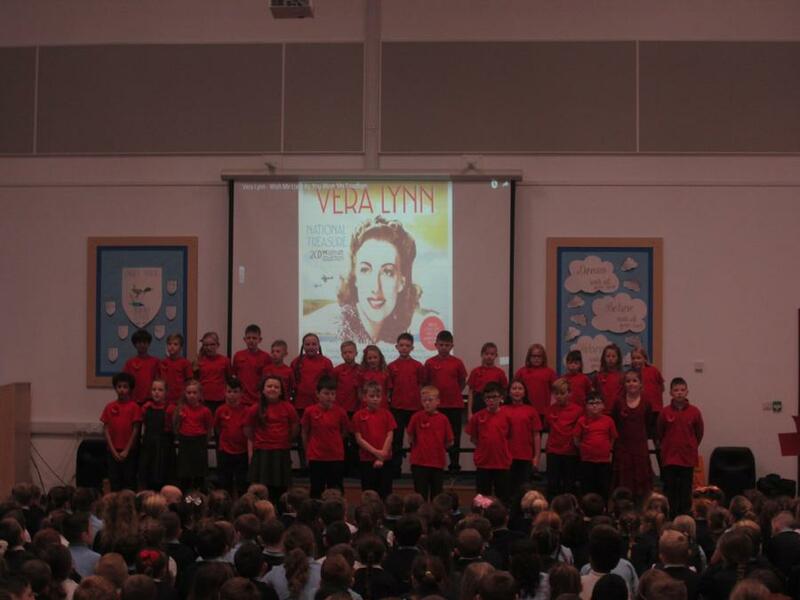 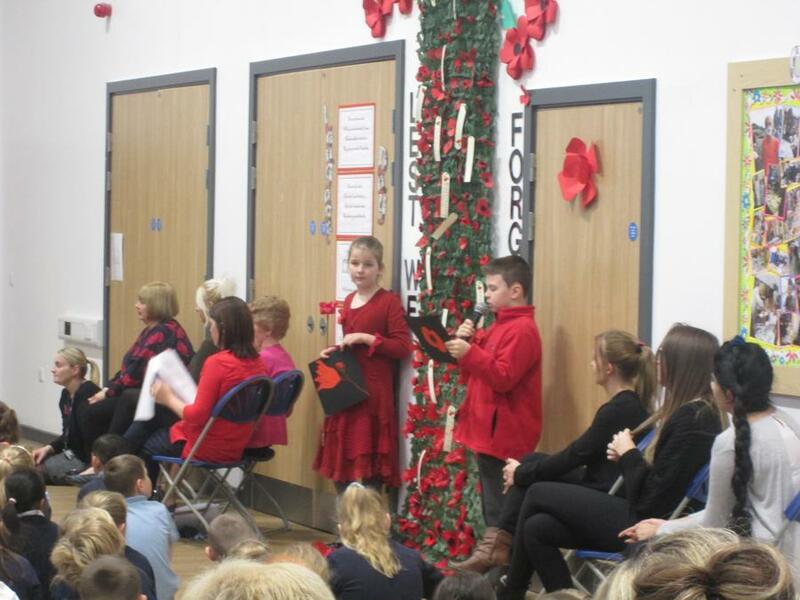 Well done to all of the children, who worked so hard to learn their lines, the songs and the dance moves. 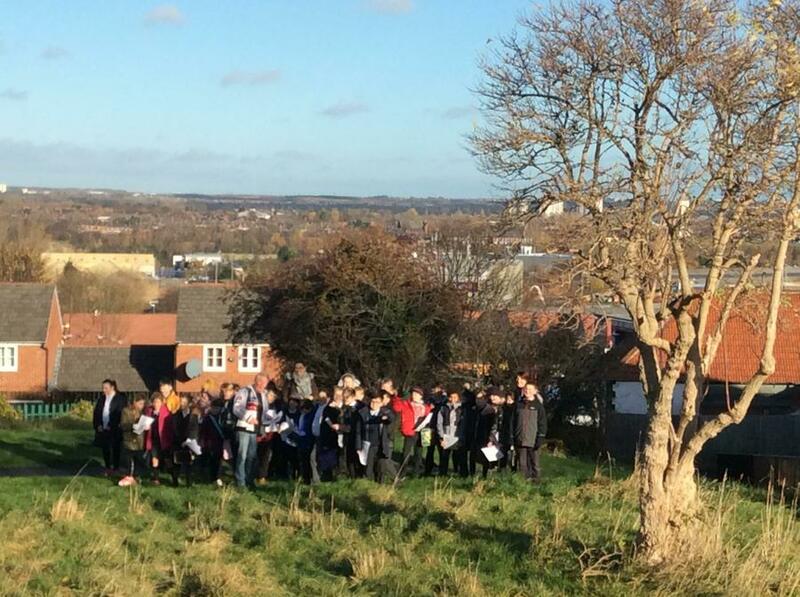 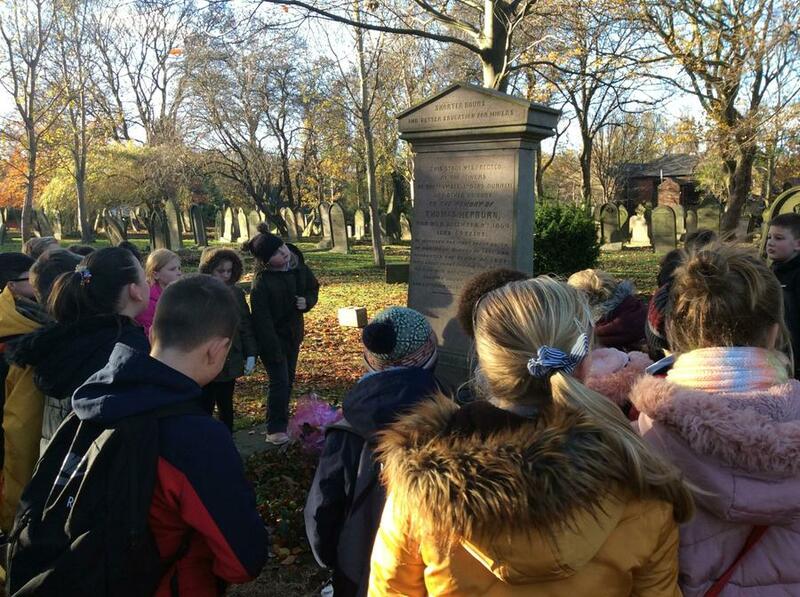 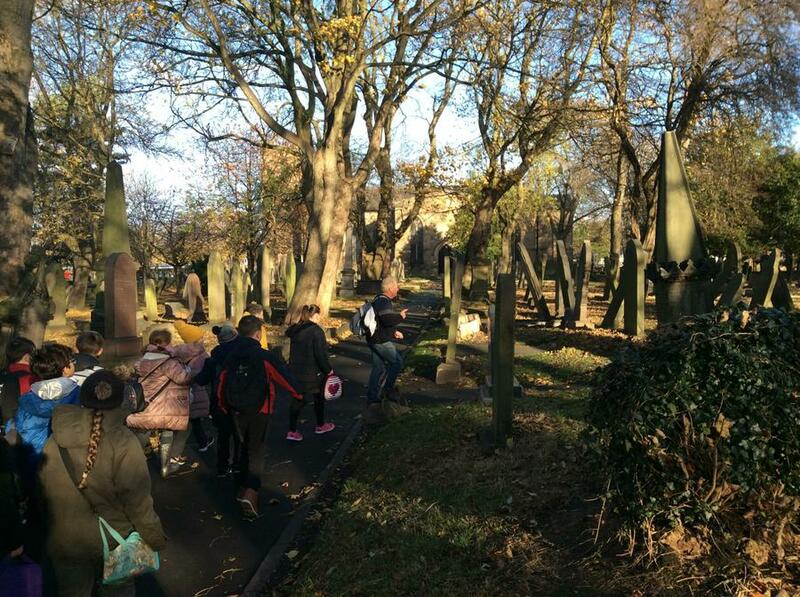 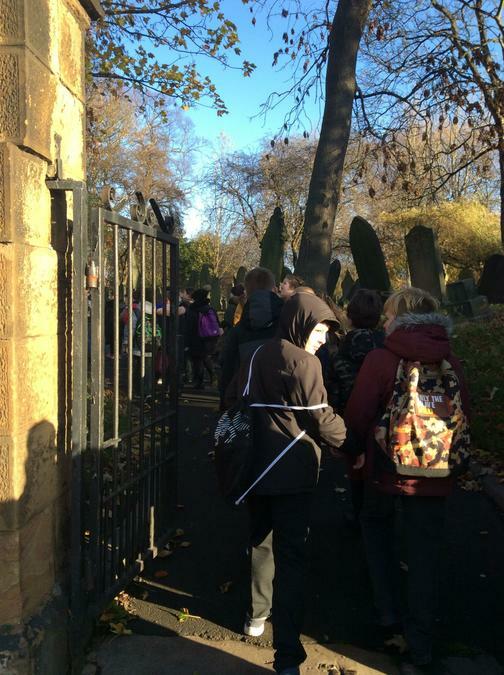 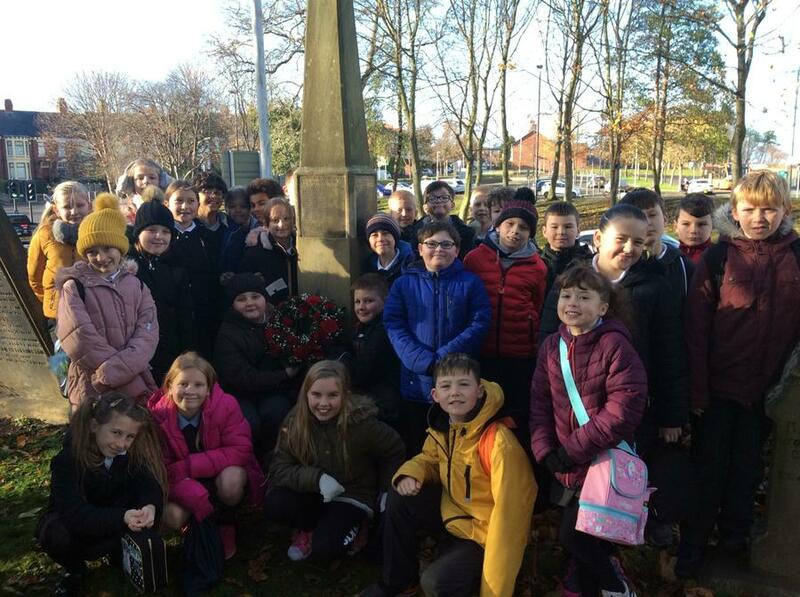 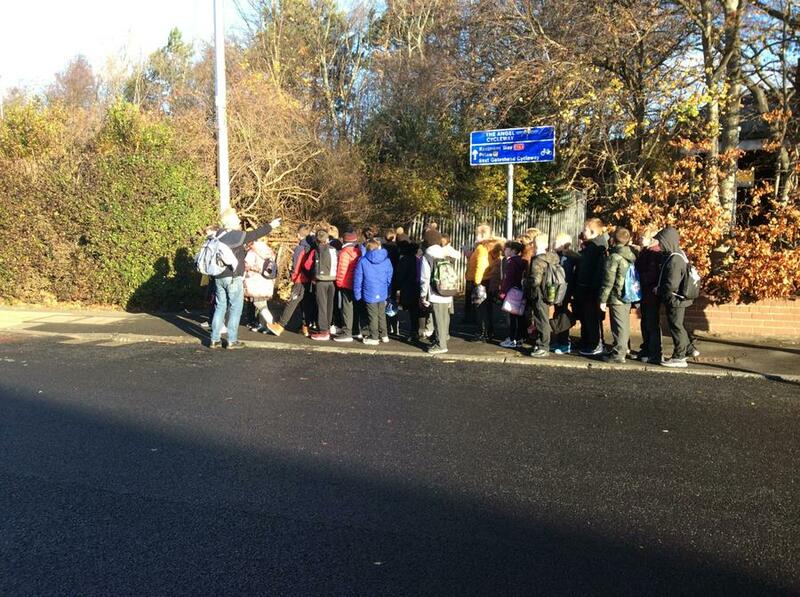 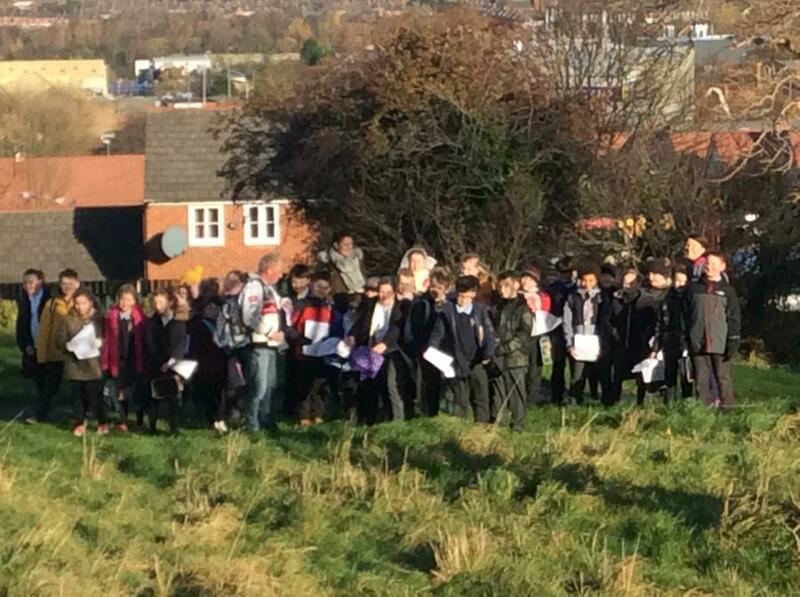 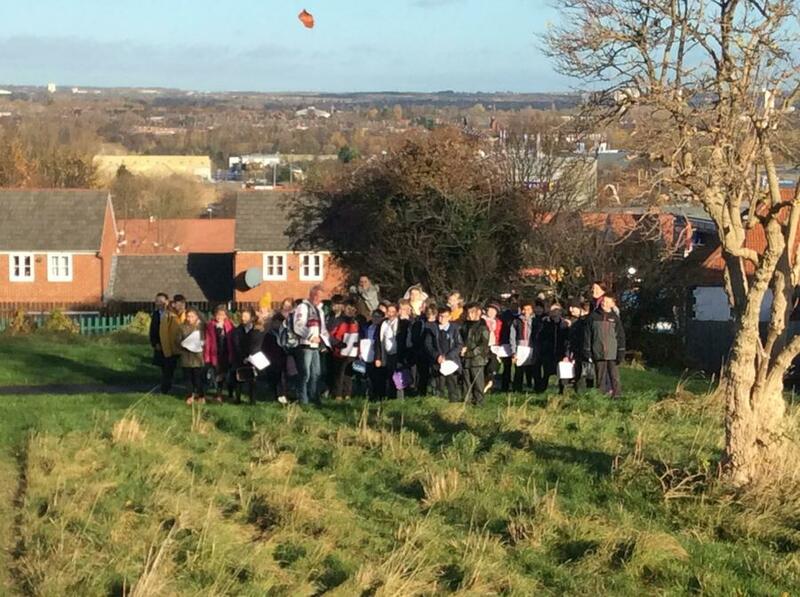 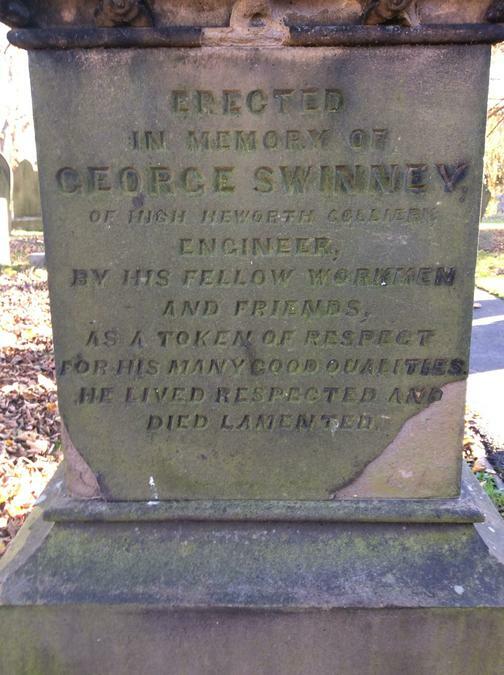 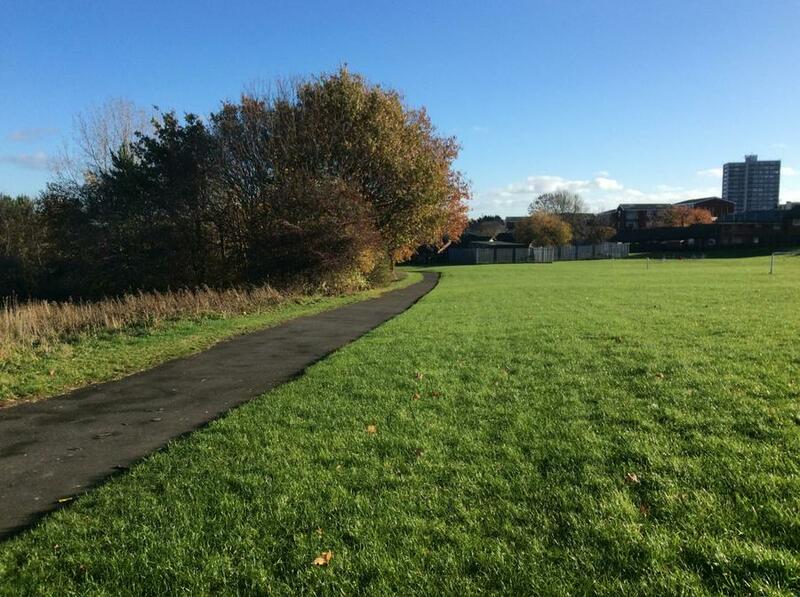 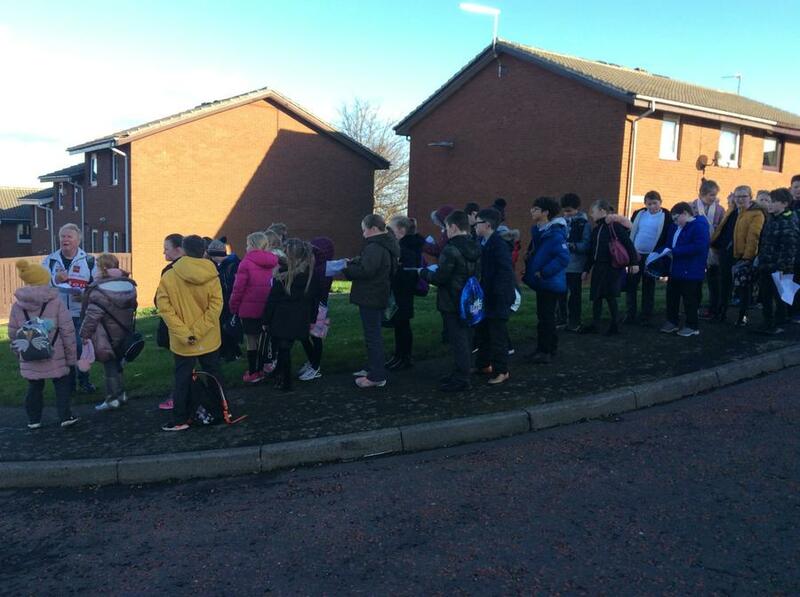 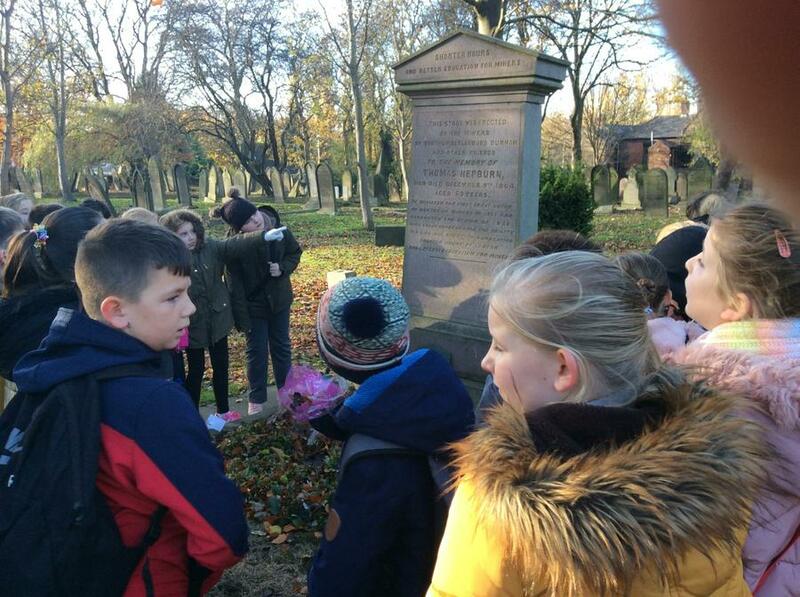 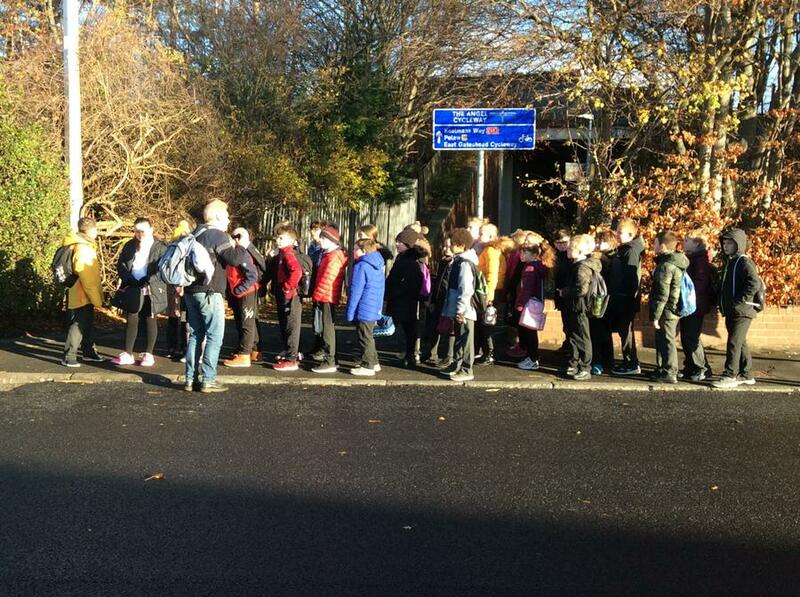 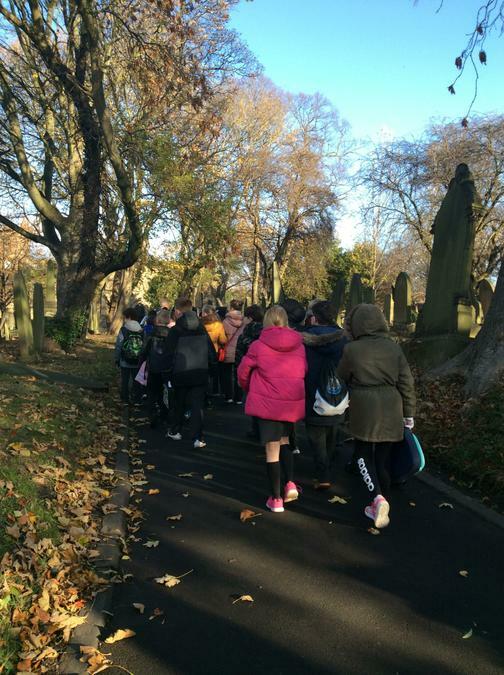 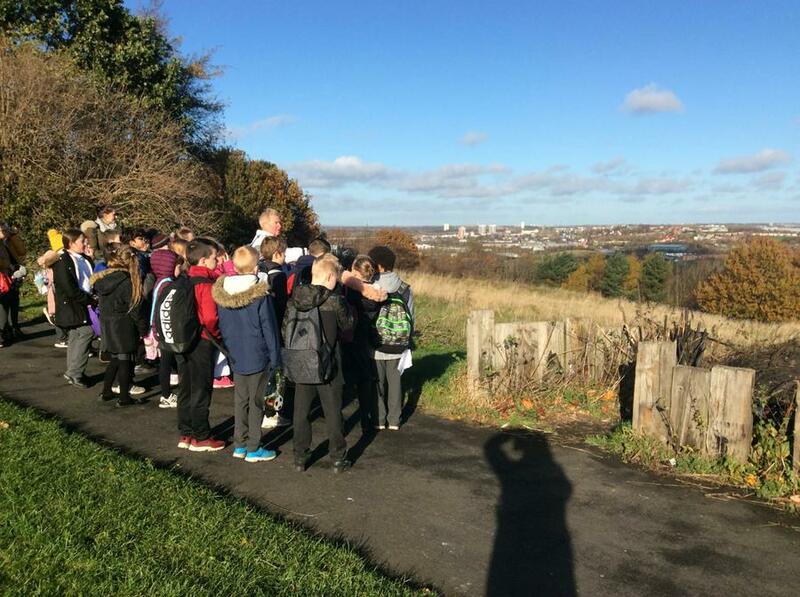 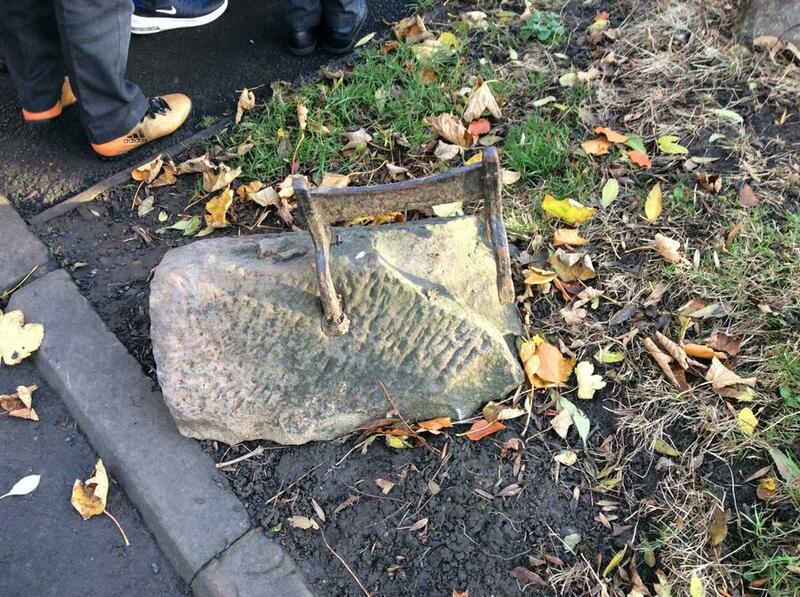 We were lucky enough to go on a heritage walk with local expert David Douglass, to finish our coal mining topic. 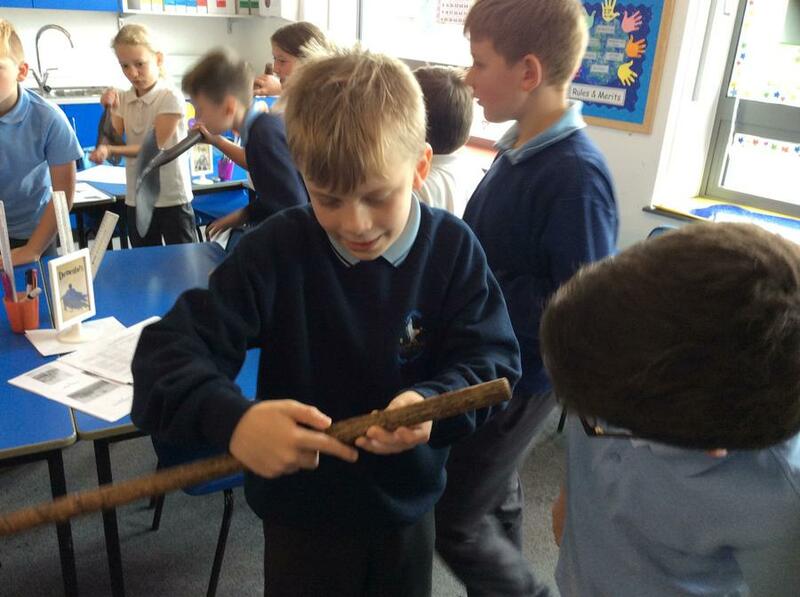 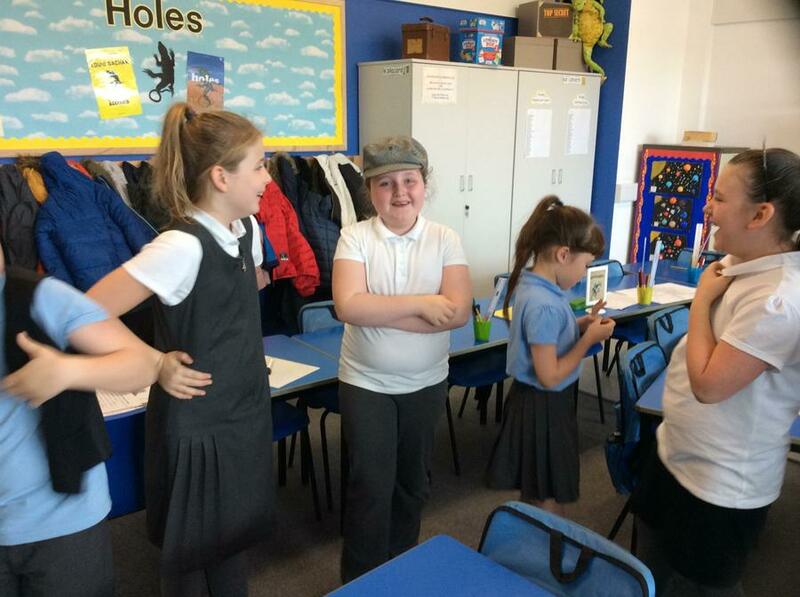 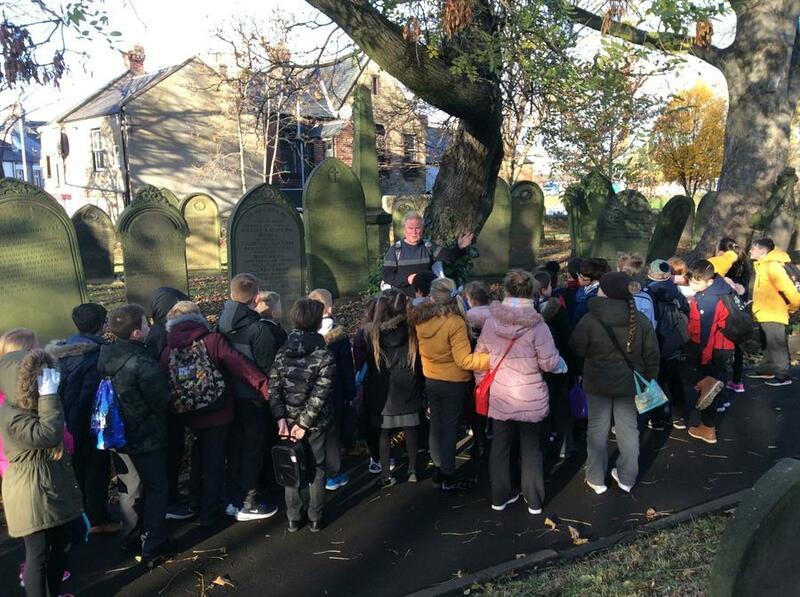 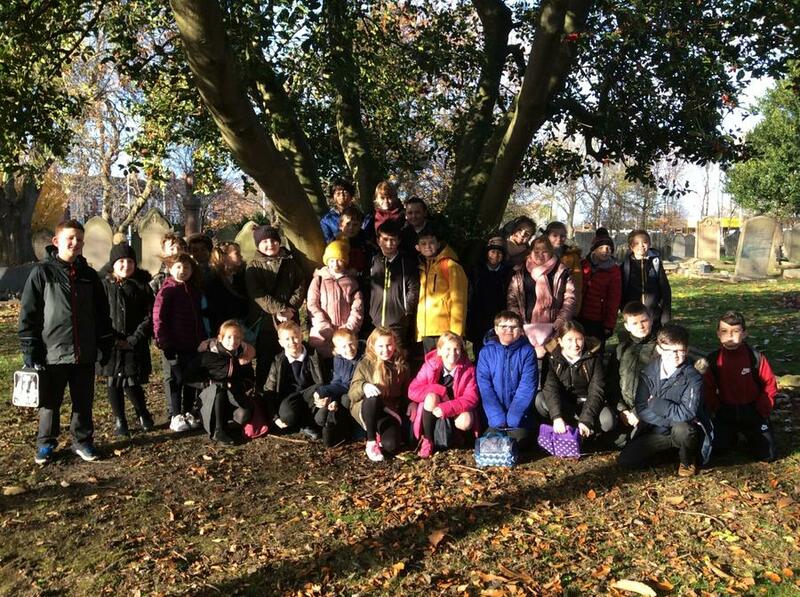 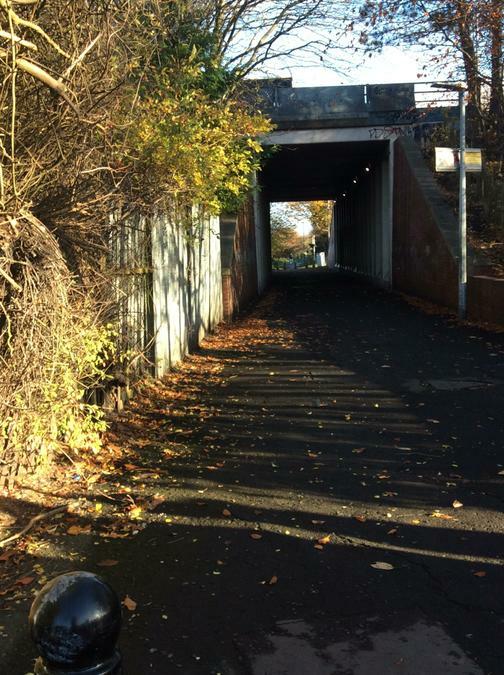 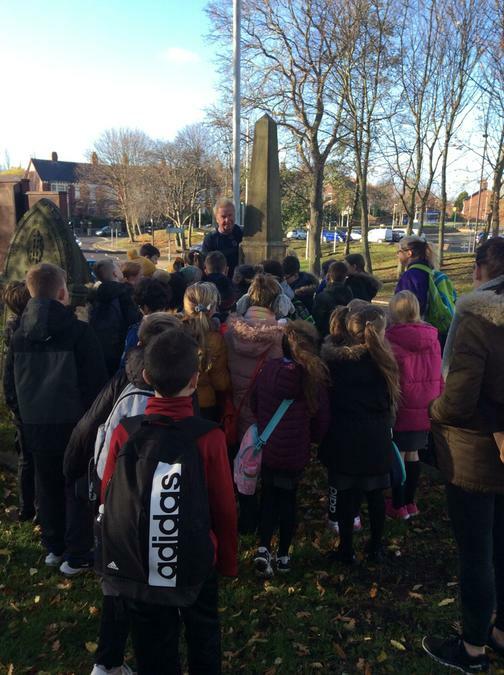 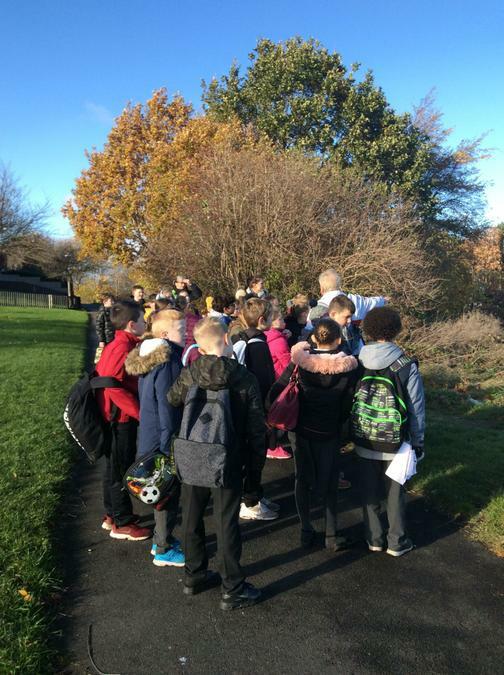 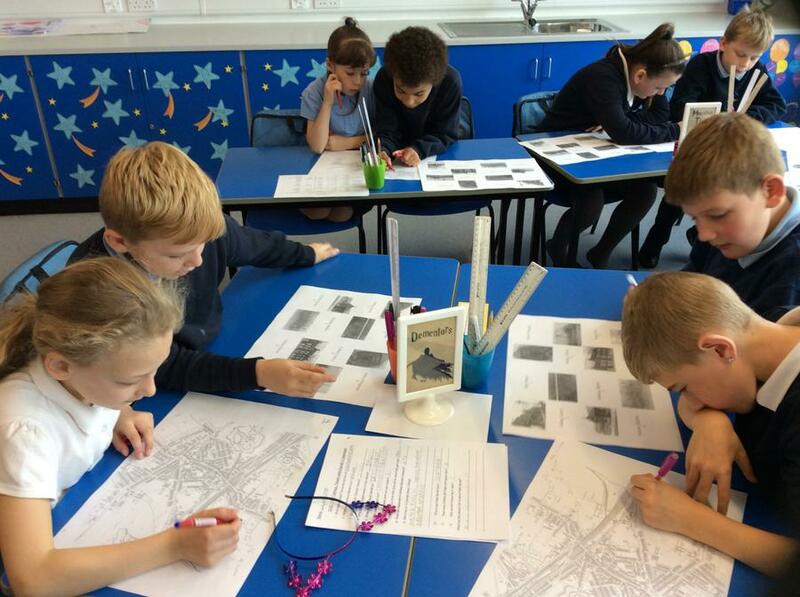 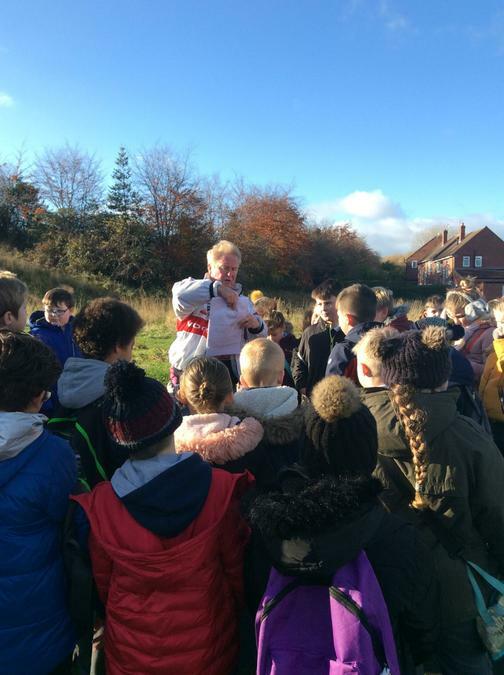 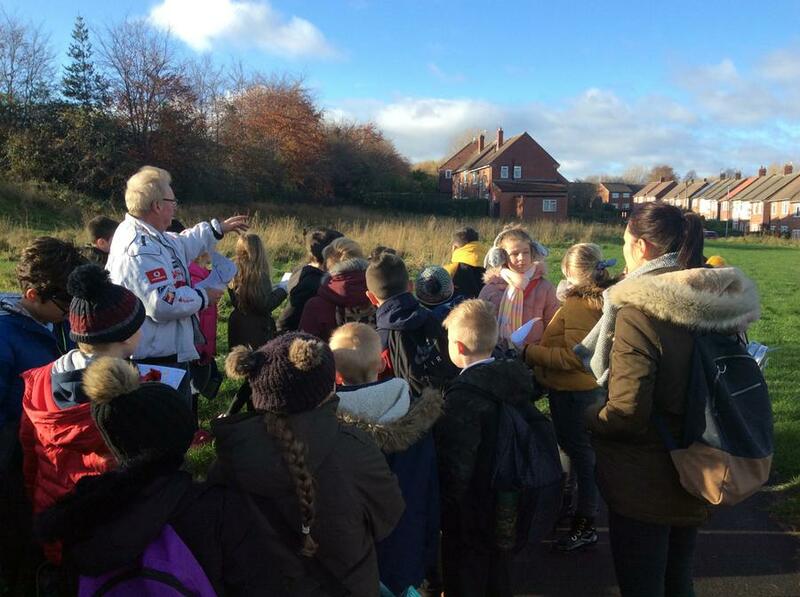 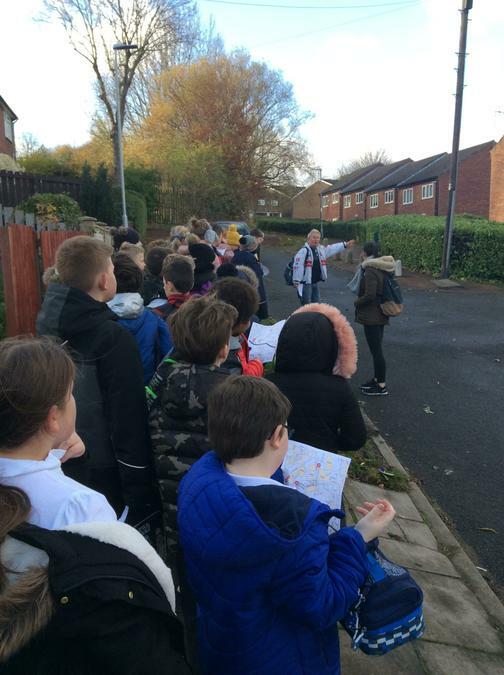 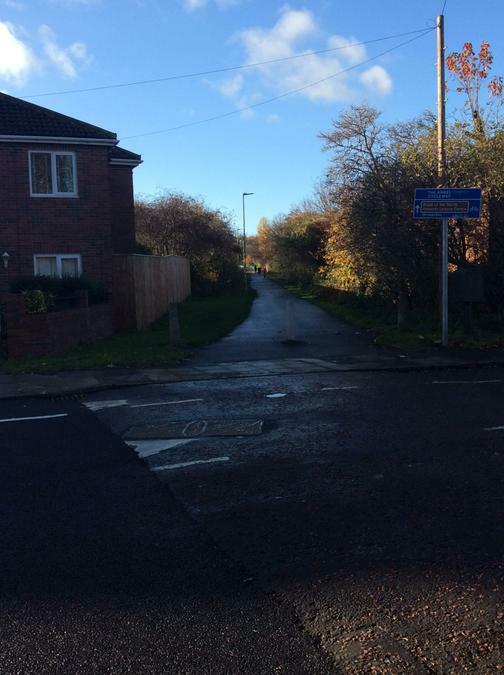 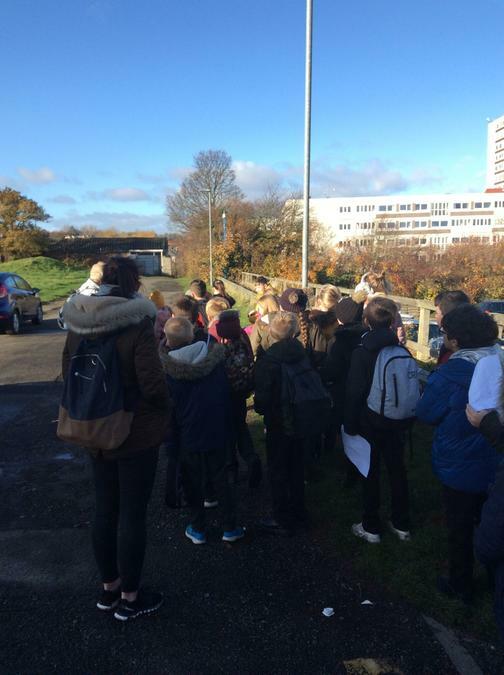 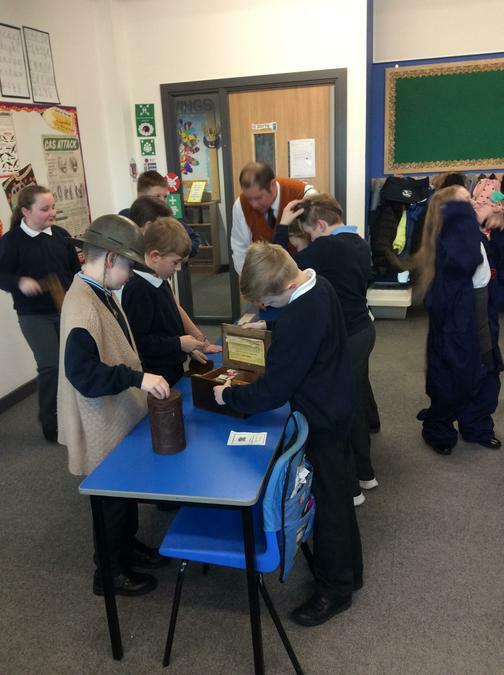 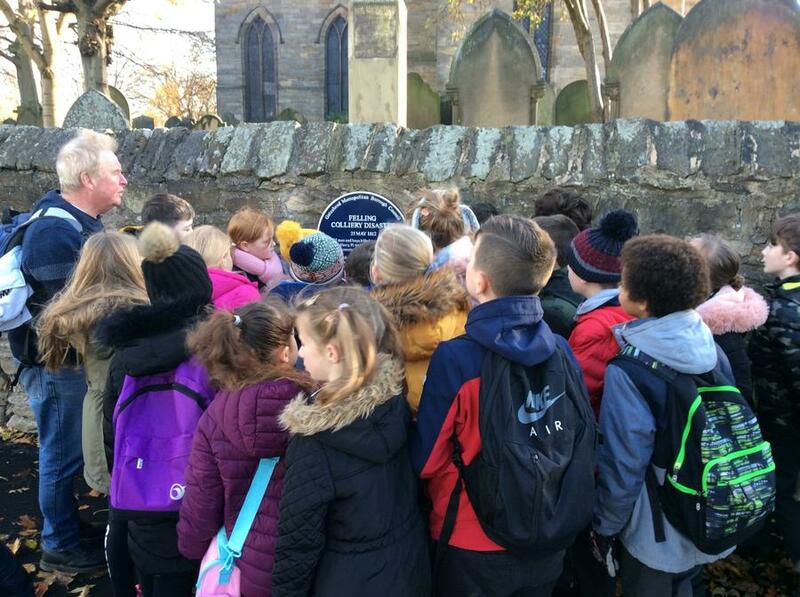 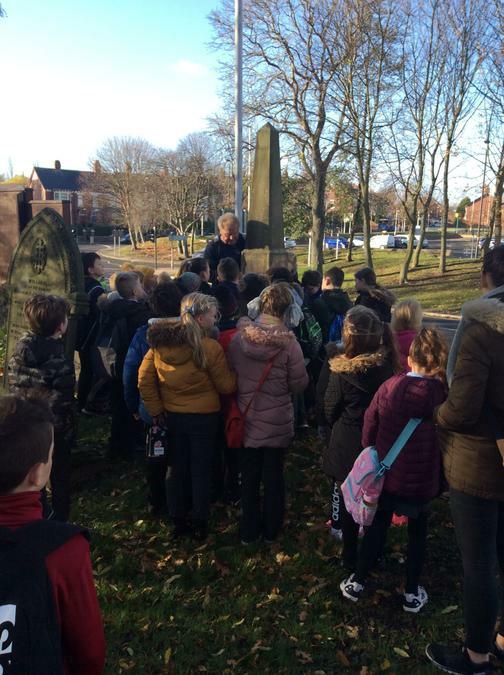 We explored our local area, learning lots of fascinating things about our heritage, including all of the mines that are hidden beneath our streets. 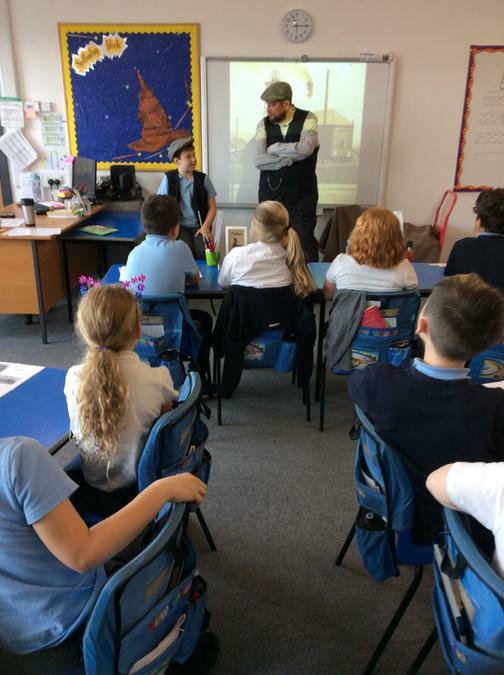 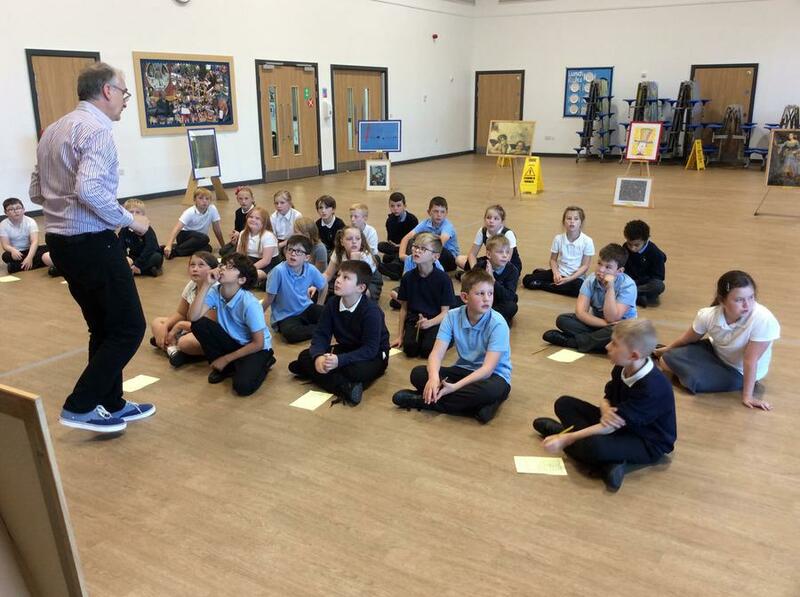 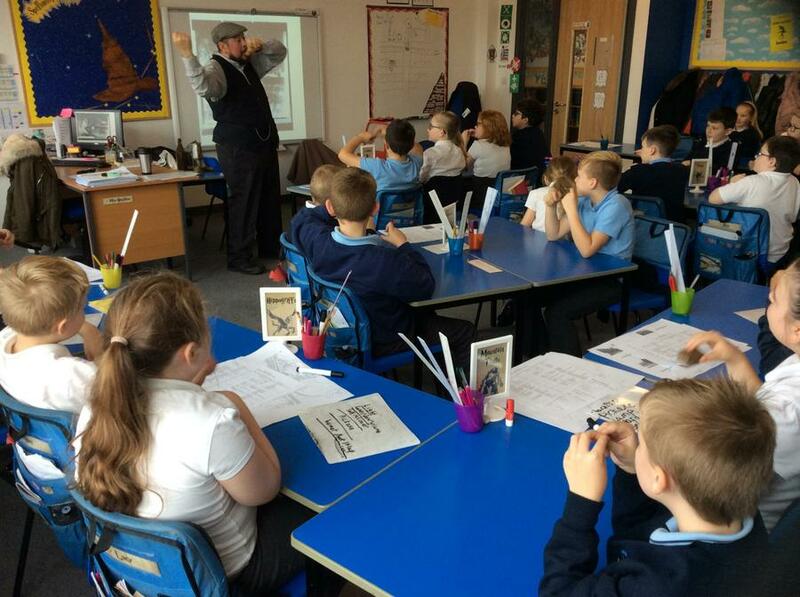 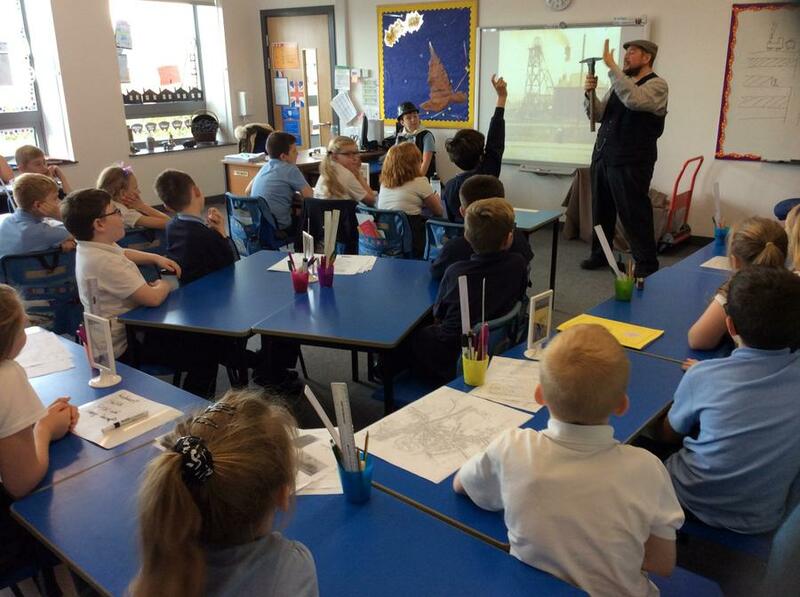 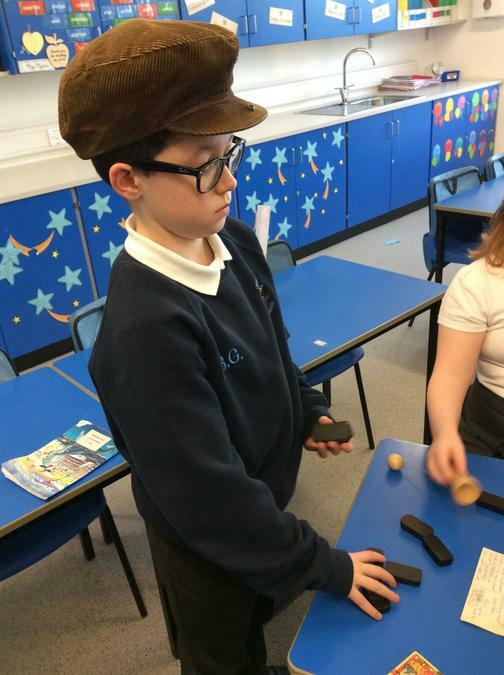 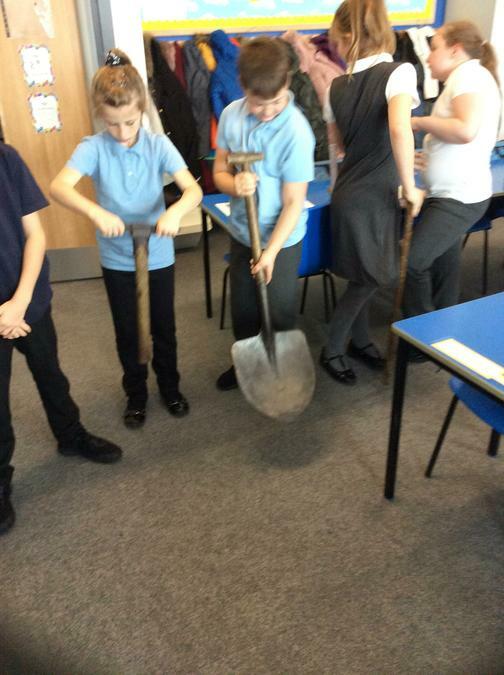 As part of our creative curriculum topic, Richard (That History Bloke) visited 5H to talk about coal mining within our local area. 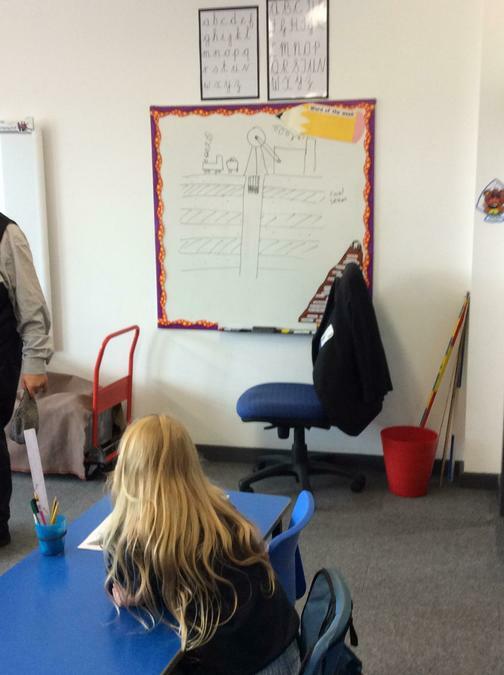 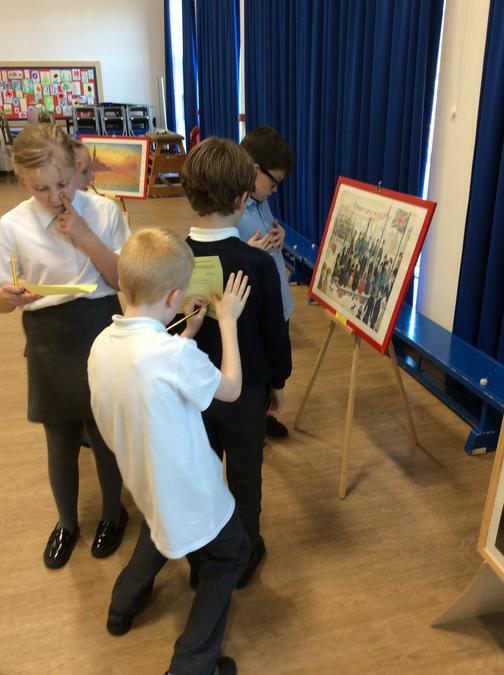 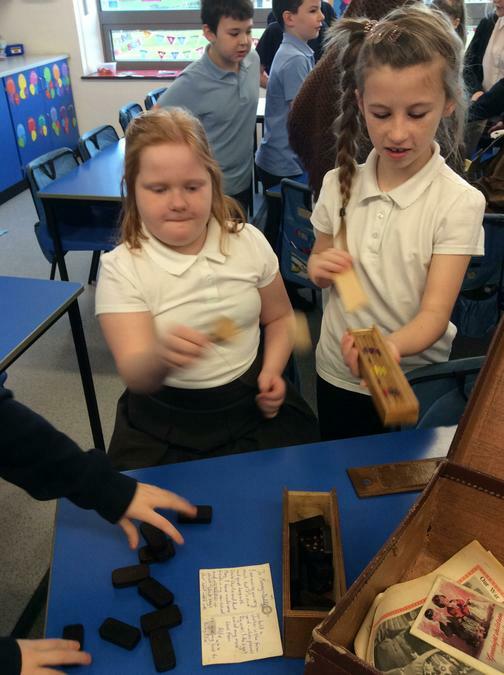 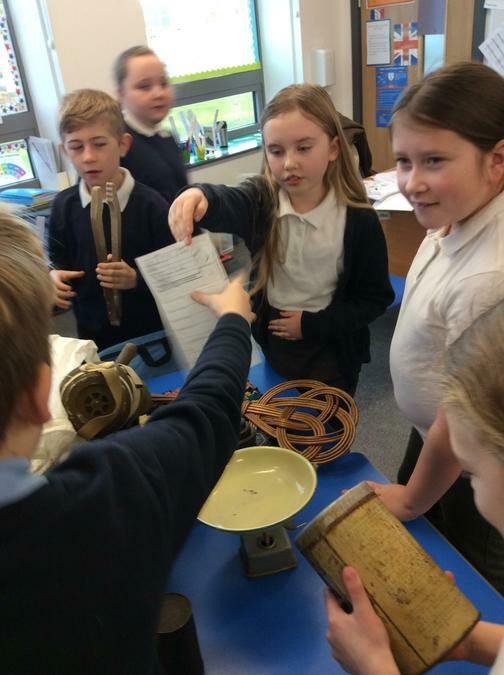 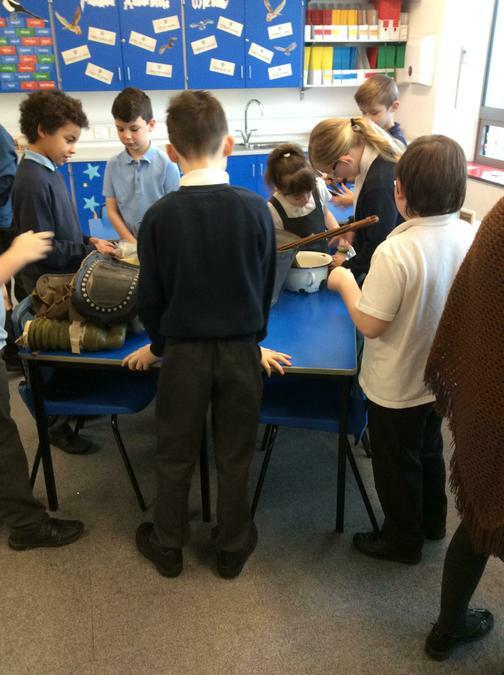 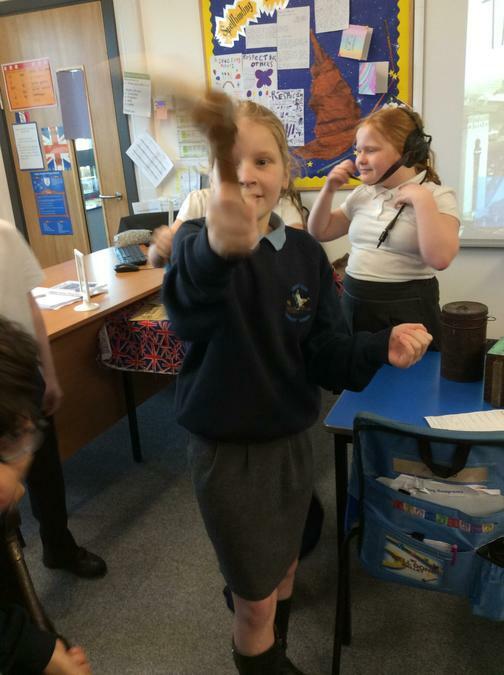 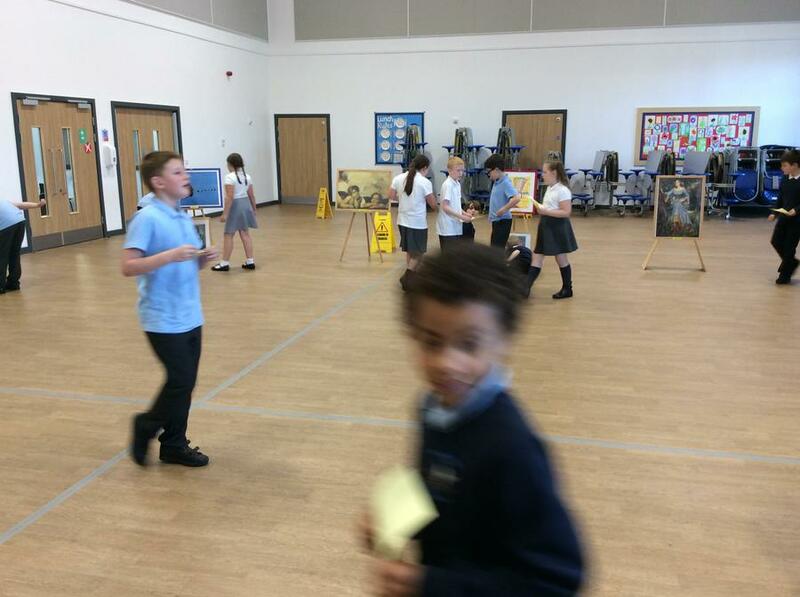 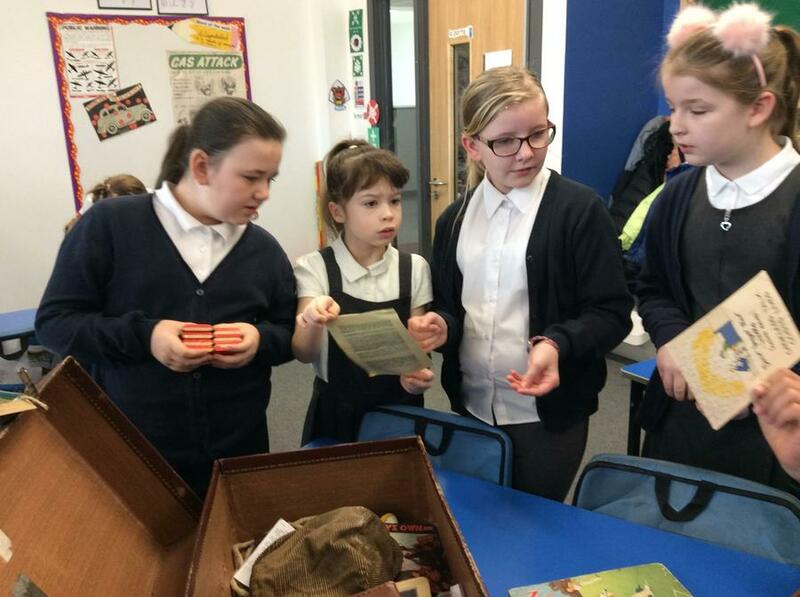 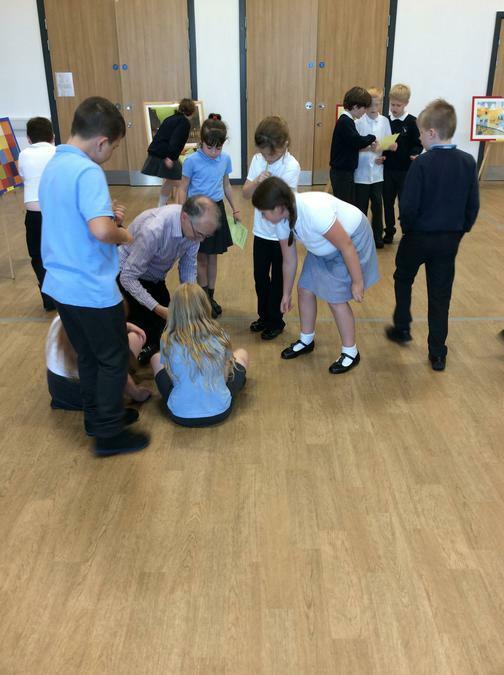 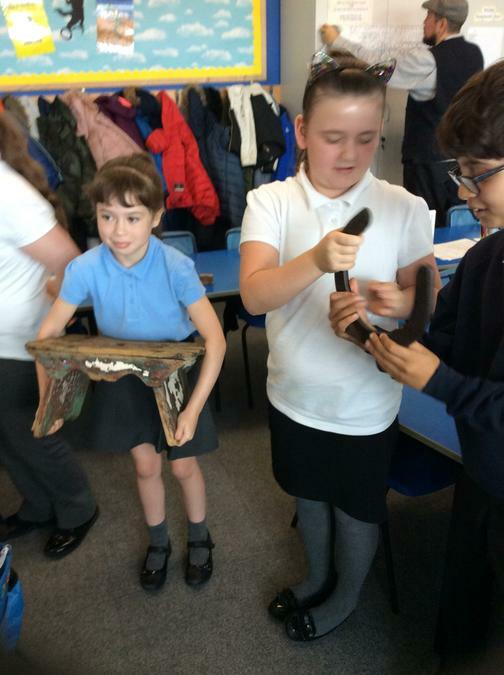 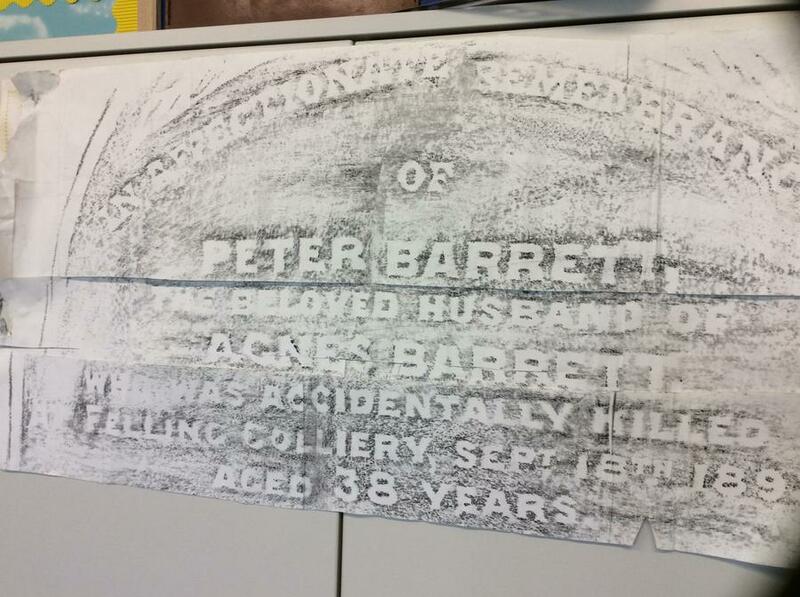 We had a fantastic time looking at all the items Richard brought in, and solving the mystery of Peter Barrett. 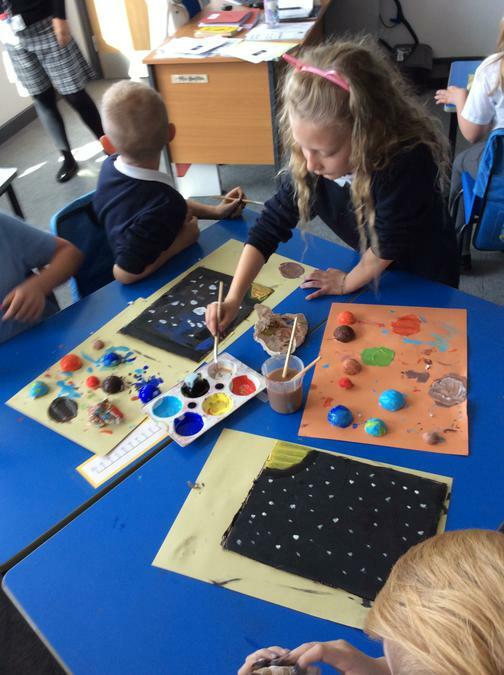 In Science this half term, we have been looking at Earth and space. 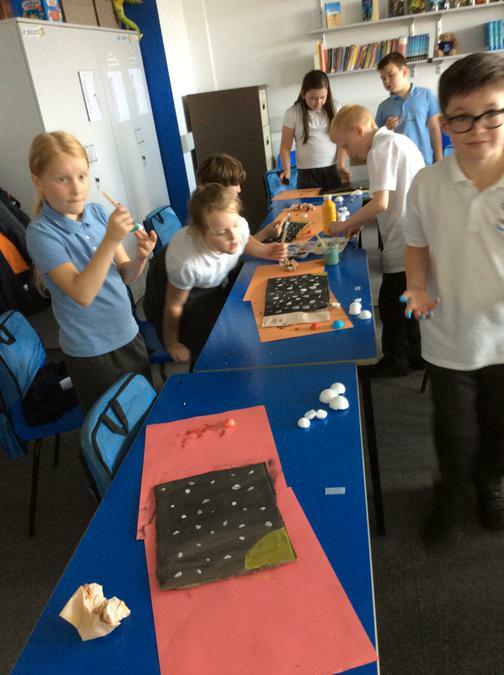 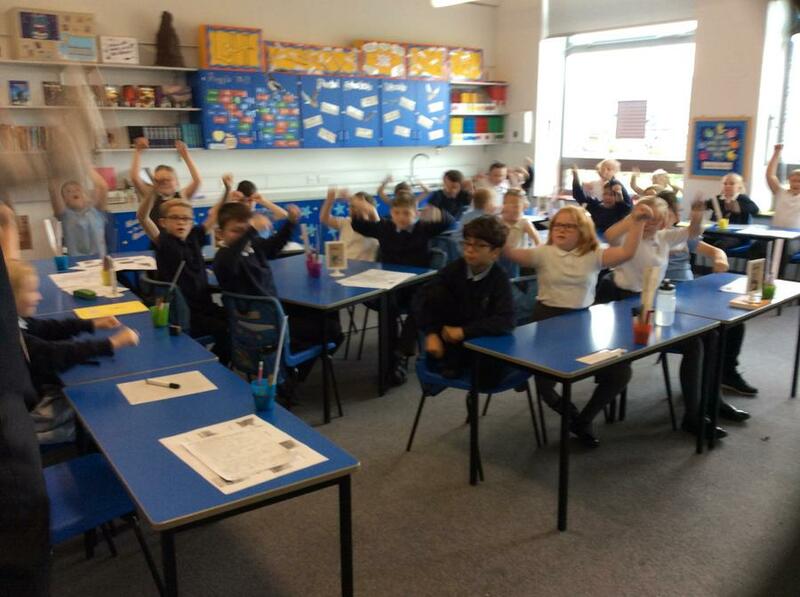 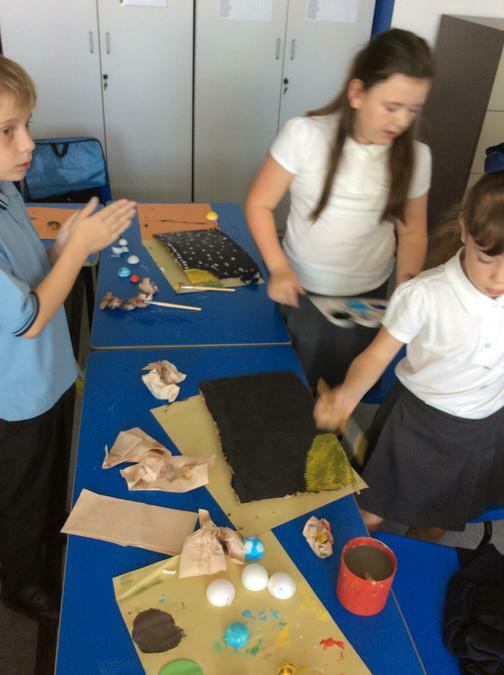 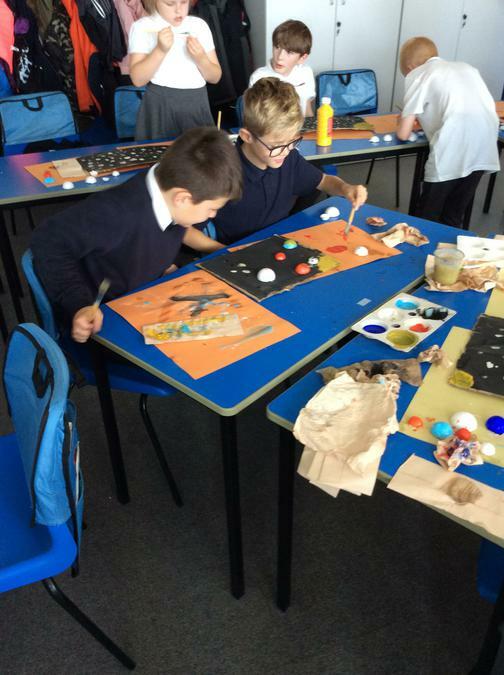 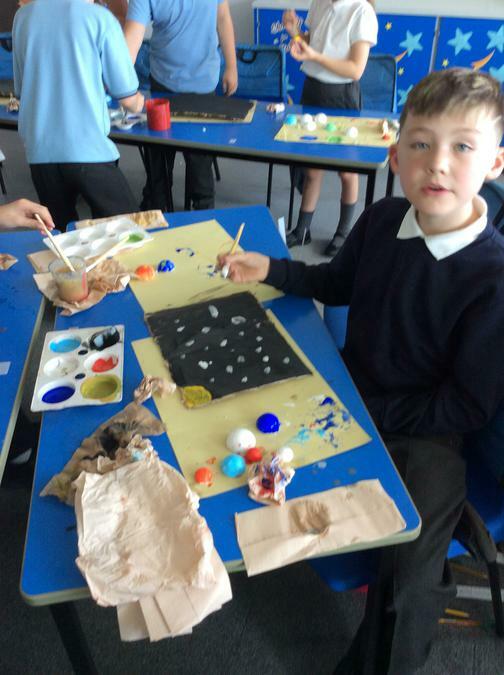 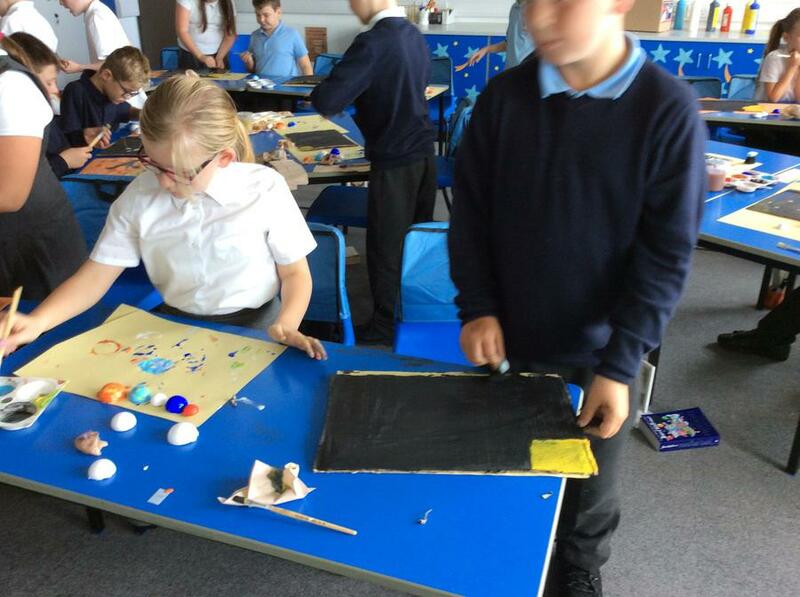 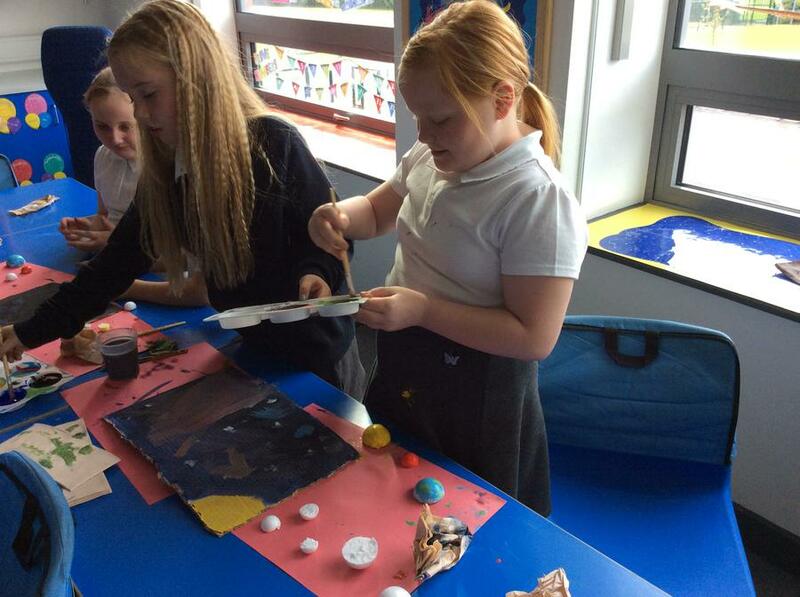 We have made our own models of the solar system and learnt how to remember the order of the planets. 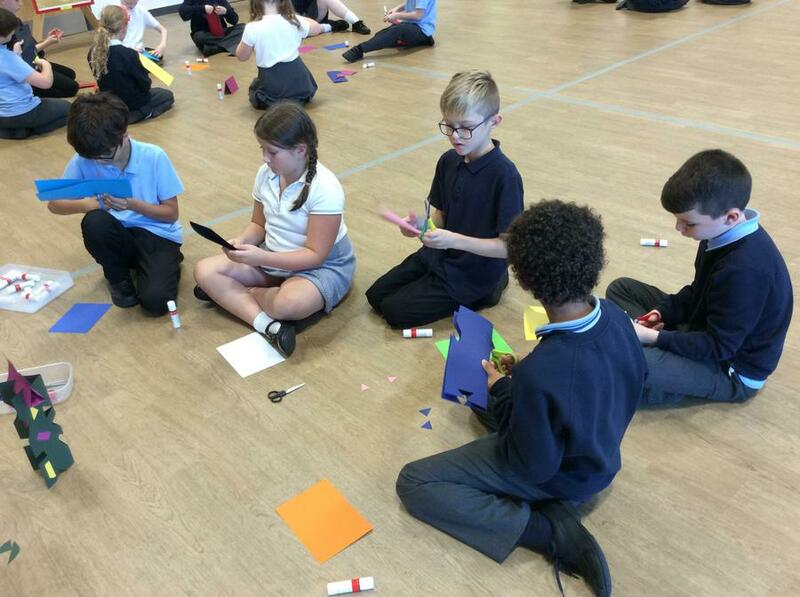 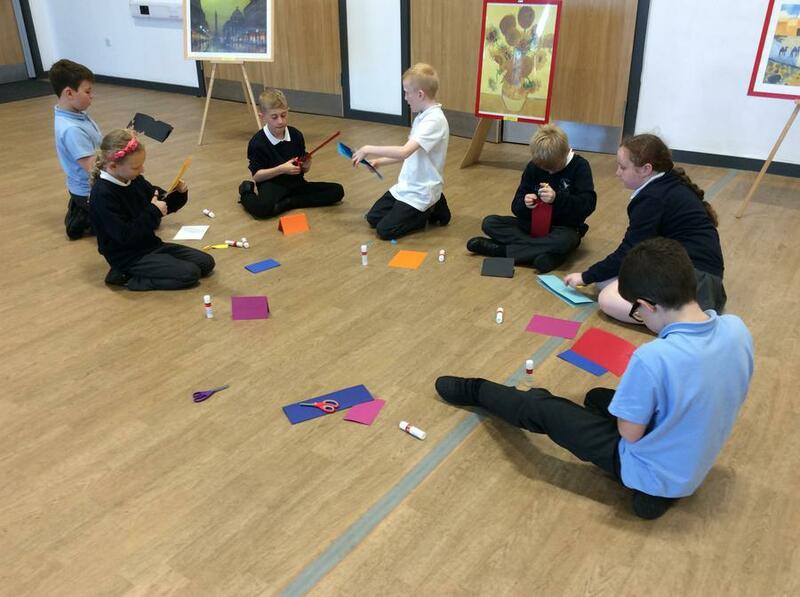 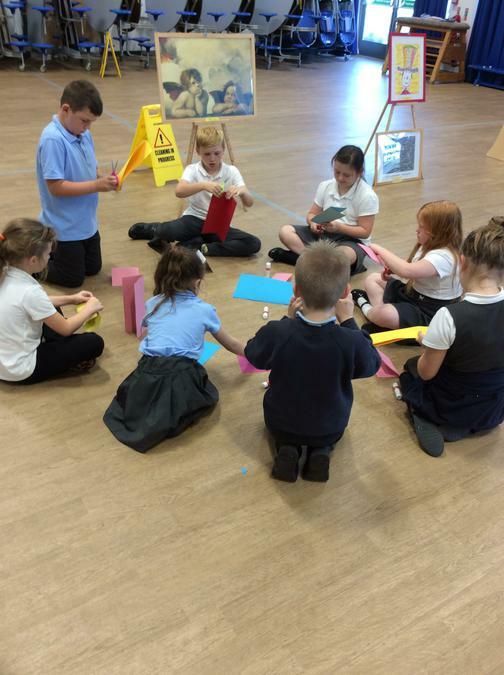 Last week we had a visit from an artist named Peter, who spoke to us about some famous artwork, and showed us how to make our own amazing structures using card. 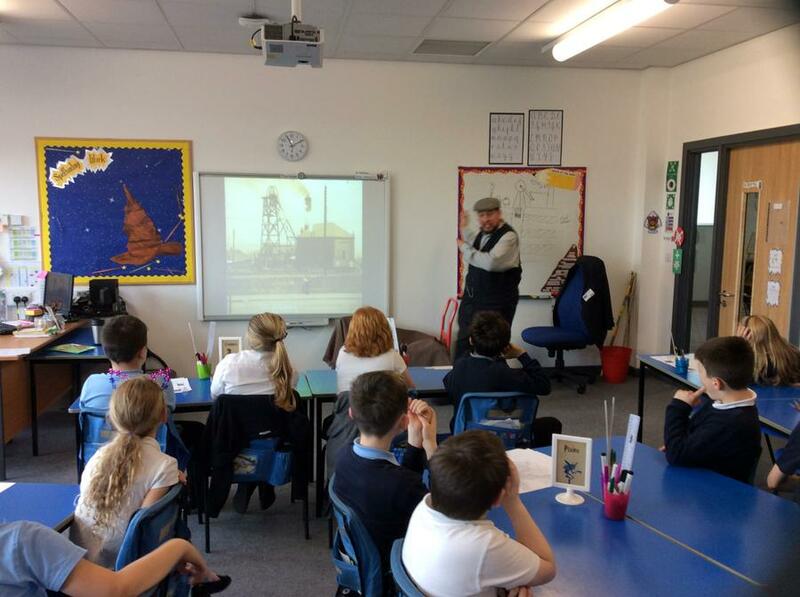 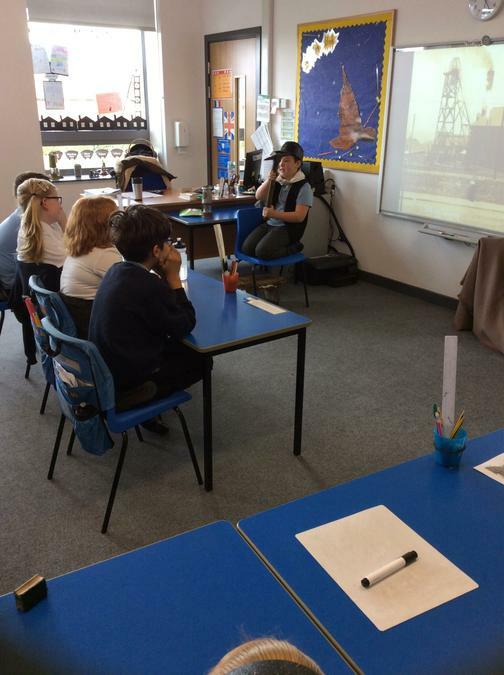 We have started this half term by learning about coal mining, and we have been lucky enough to have two visits from miners, Barry and David, who have told us all about their lives down the pit. 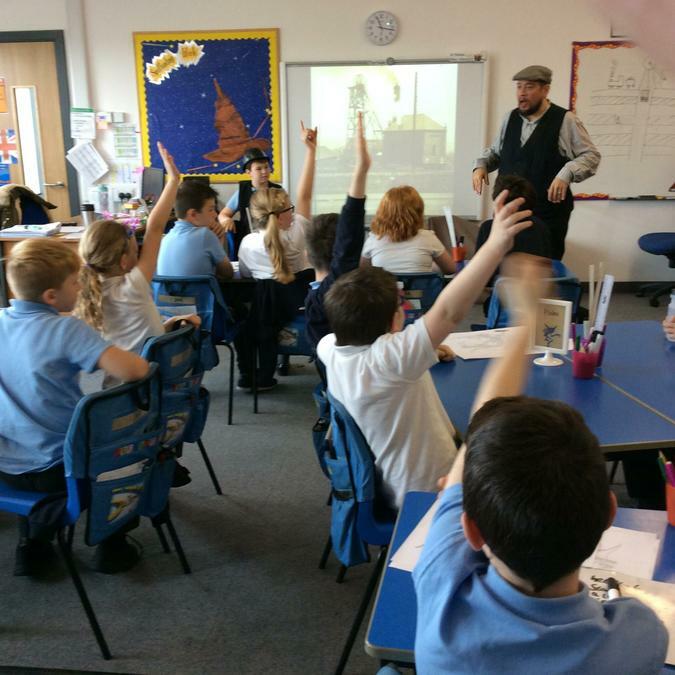 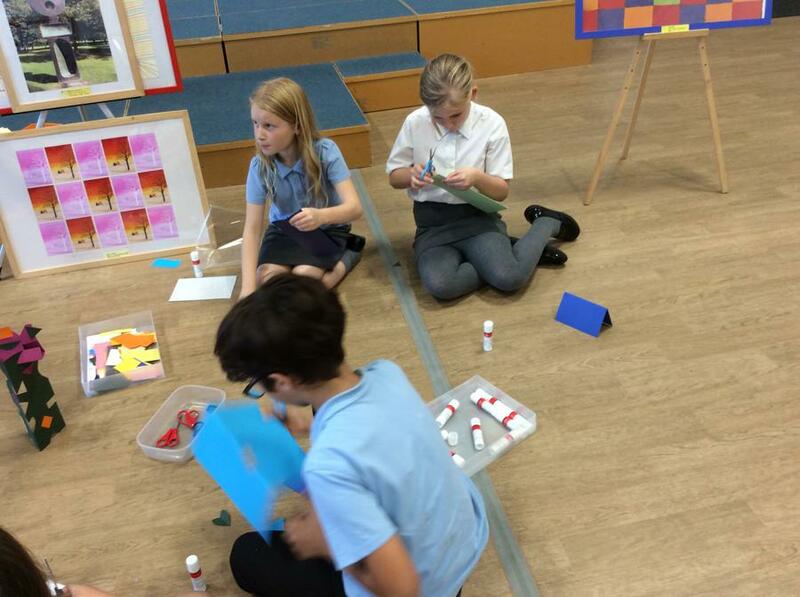 With two further visits planned, we’re sure you’re going to enjoy the rest of our creative curriculum topic!